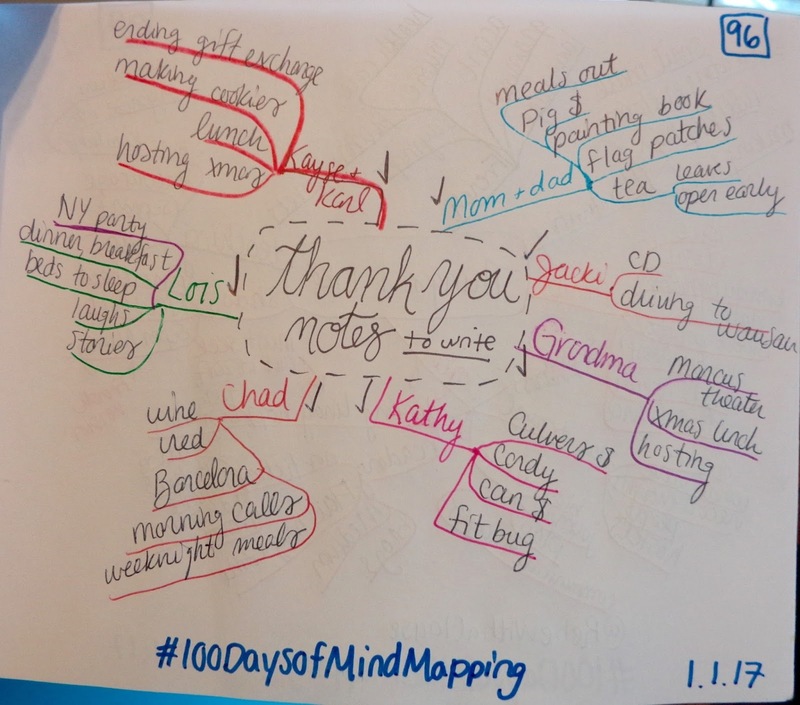 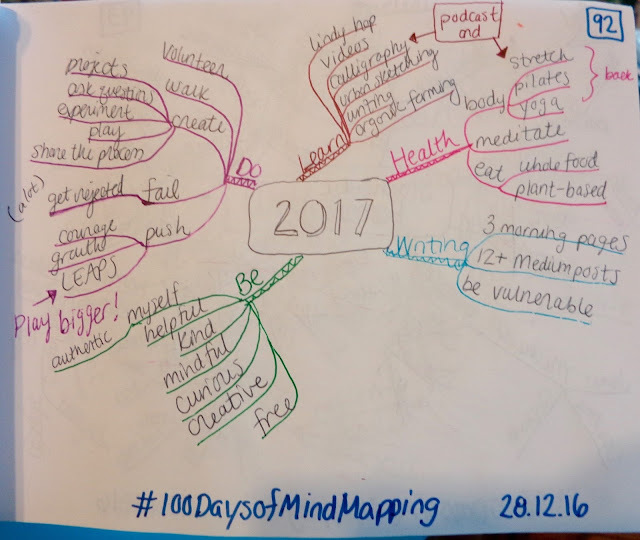 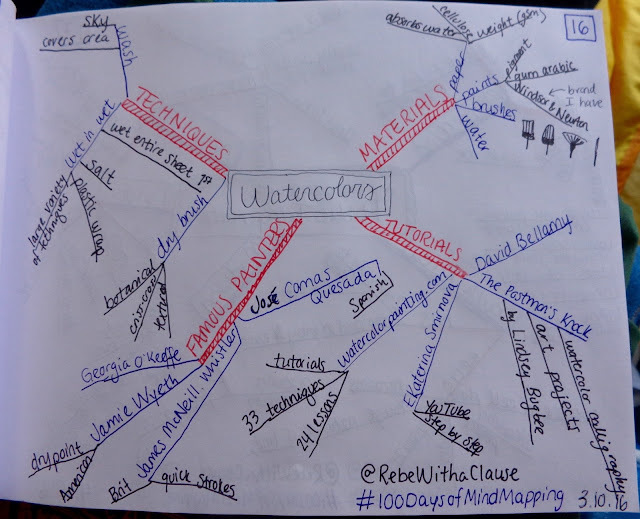 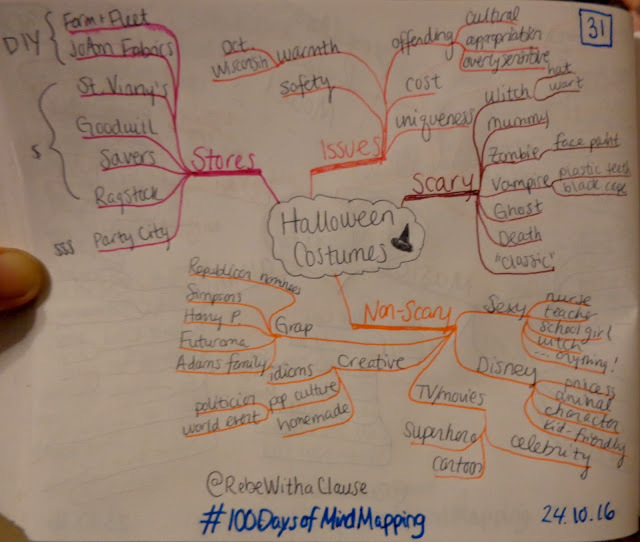 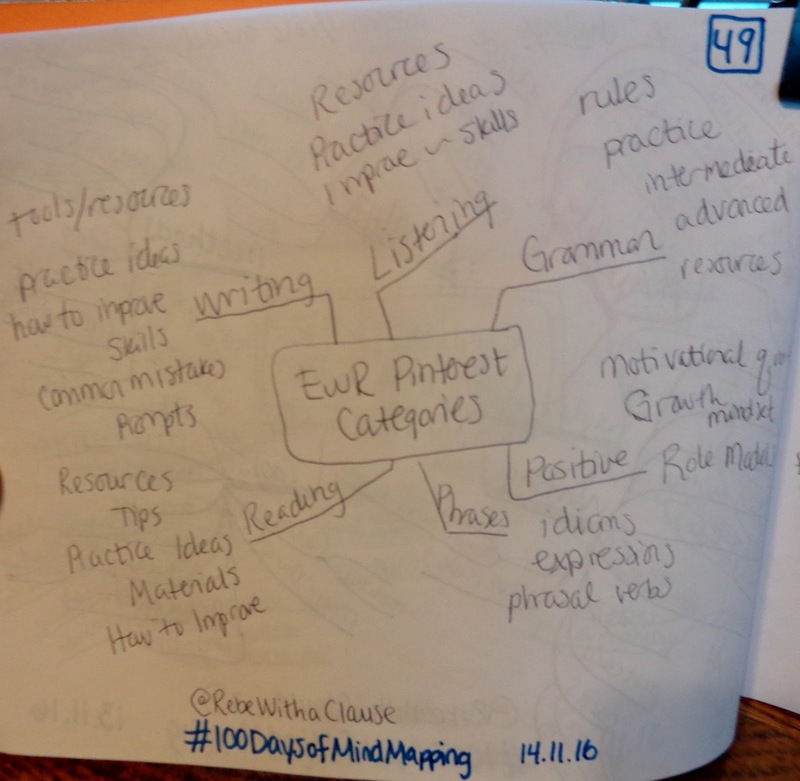 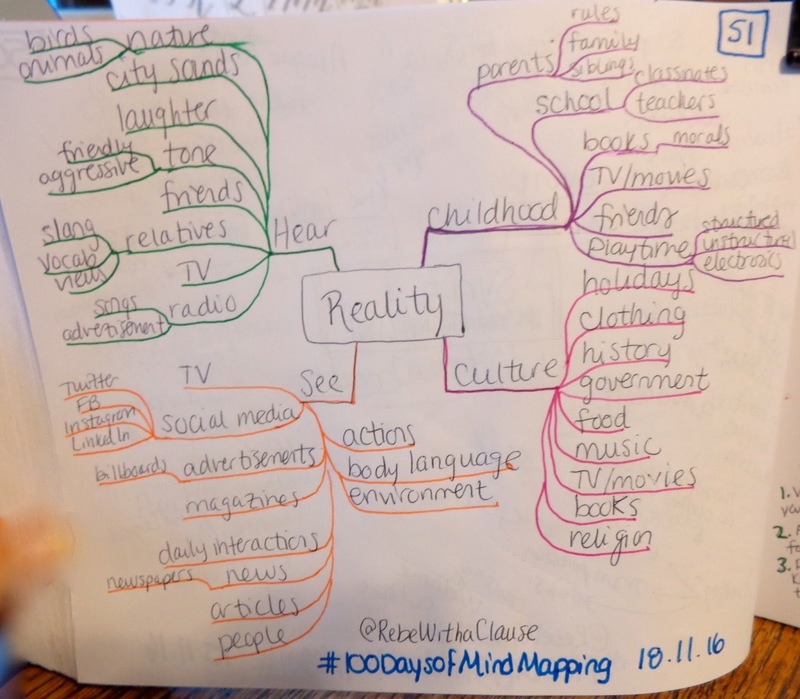 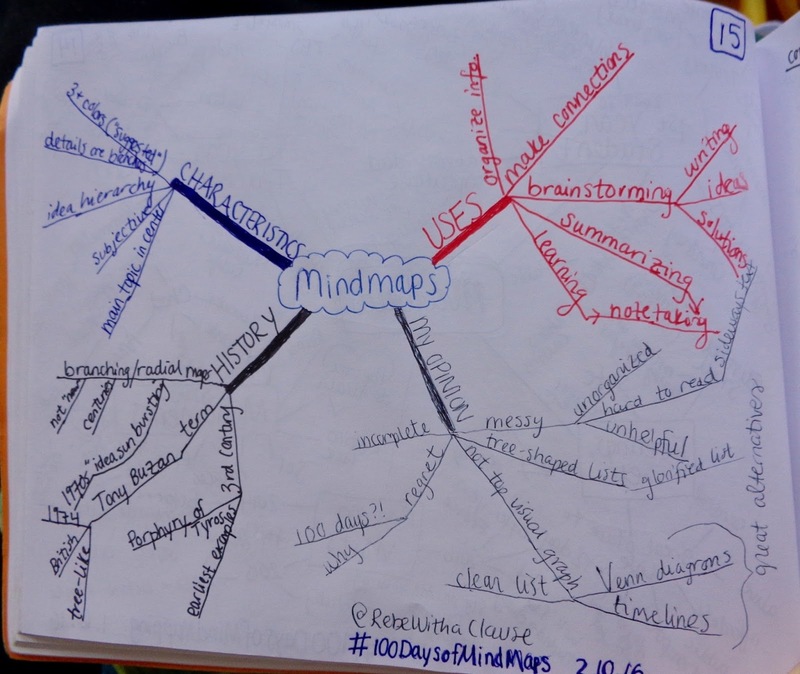 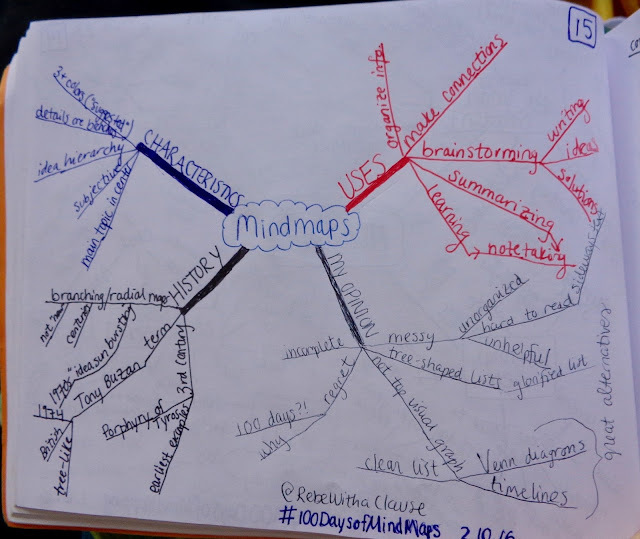 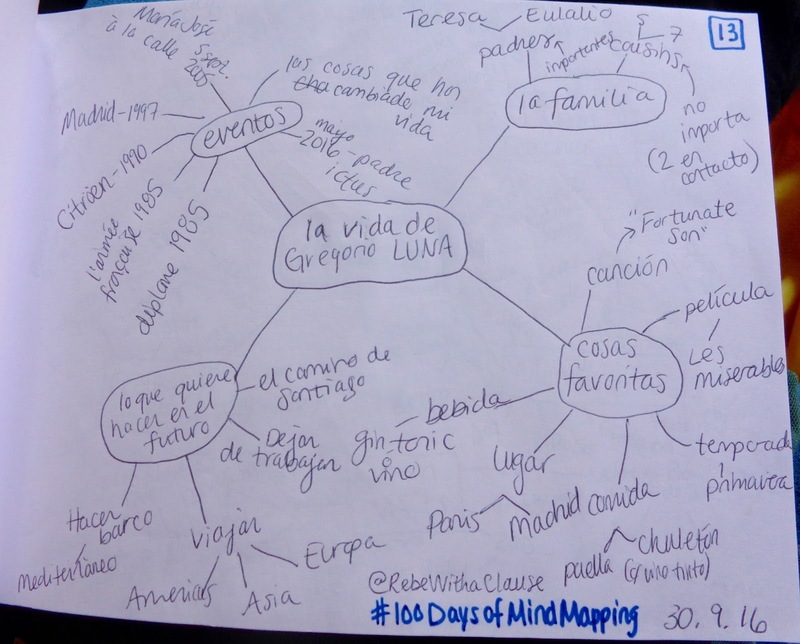 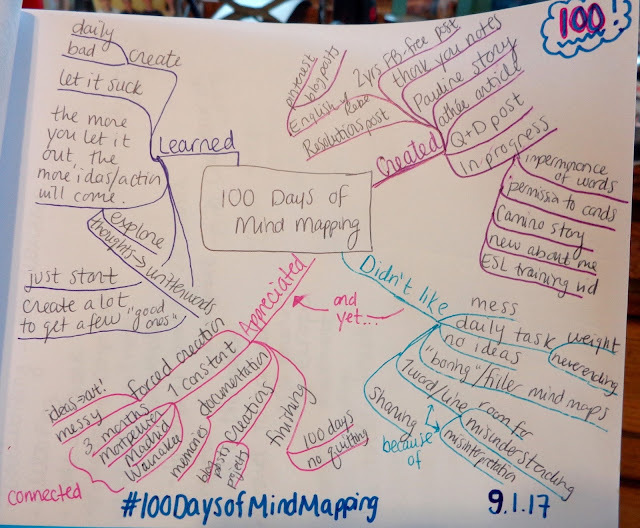 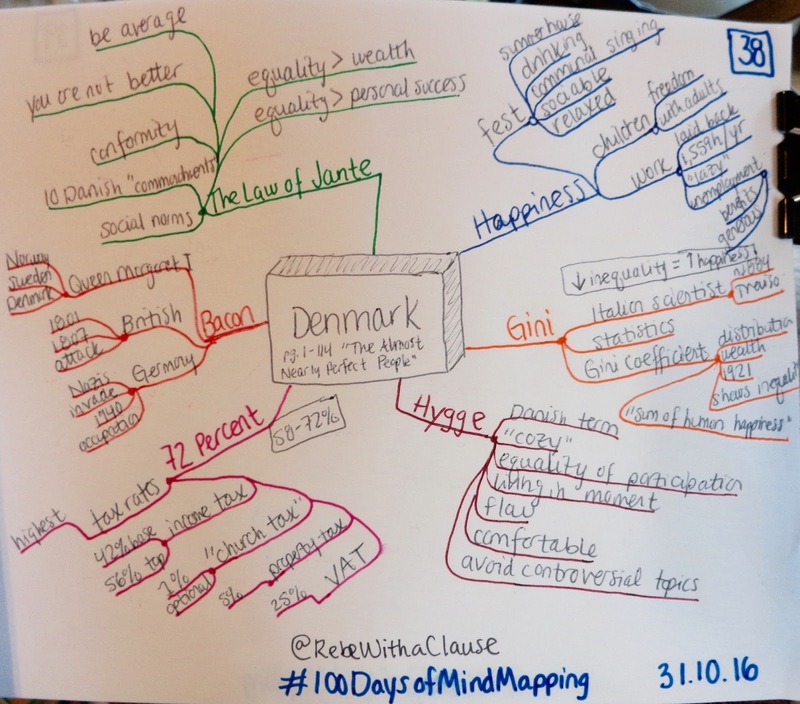 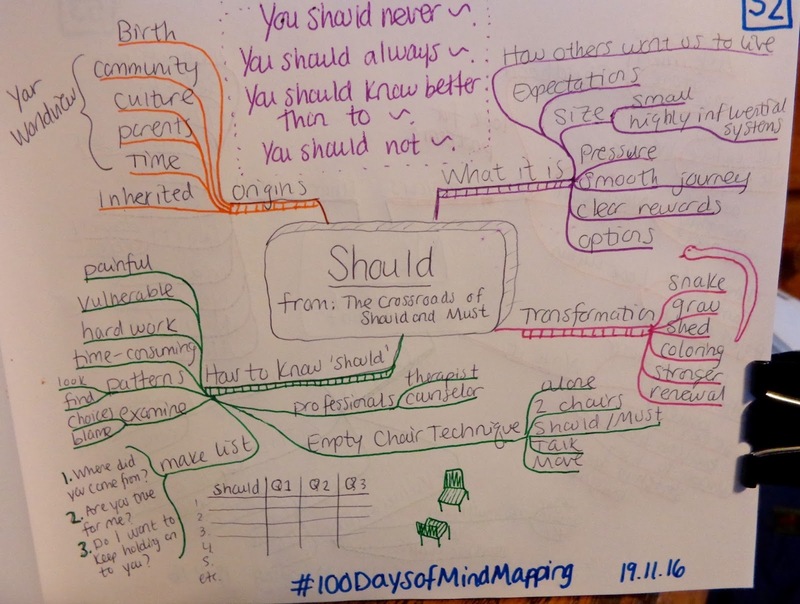 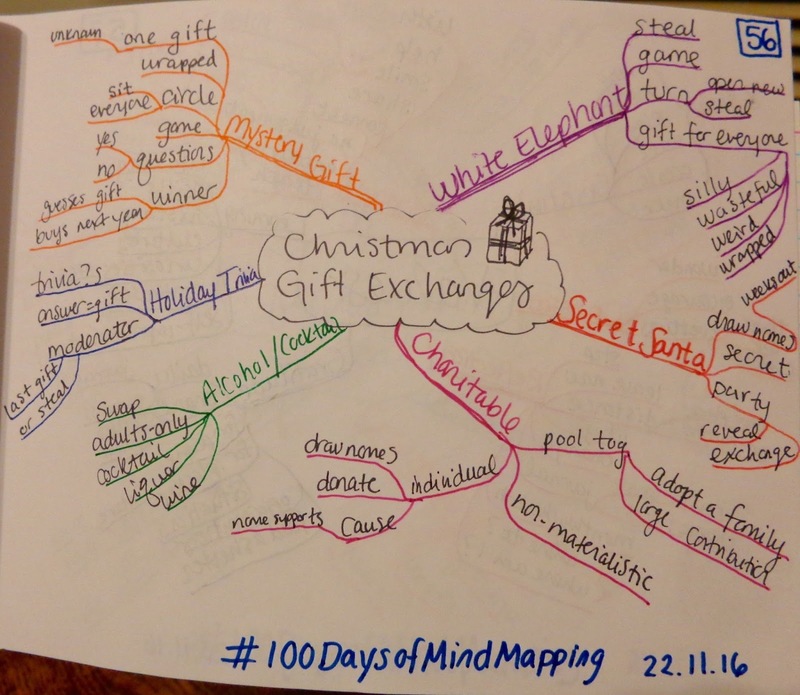 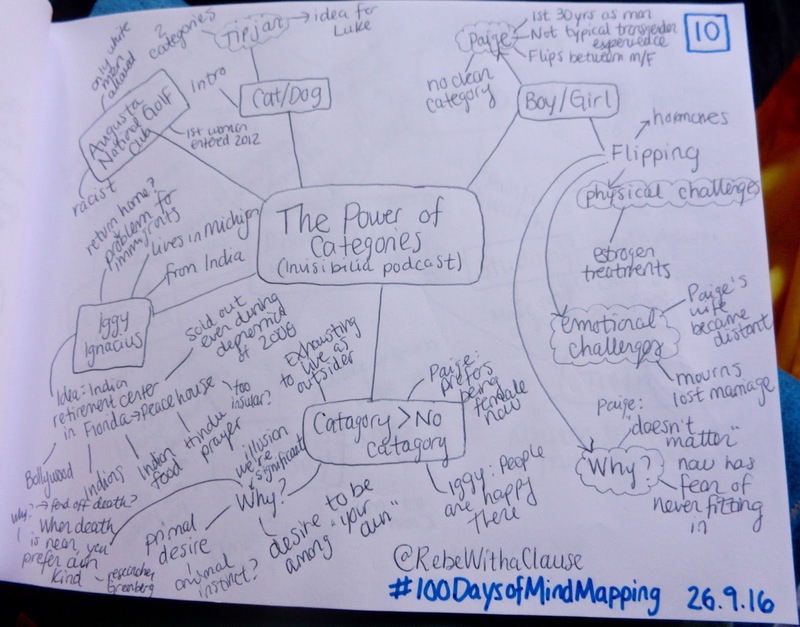 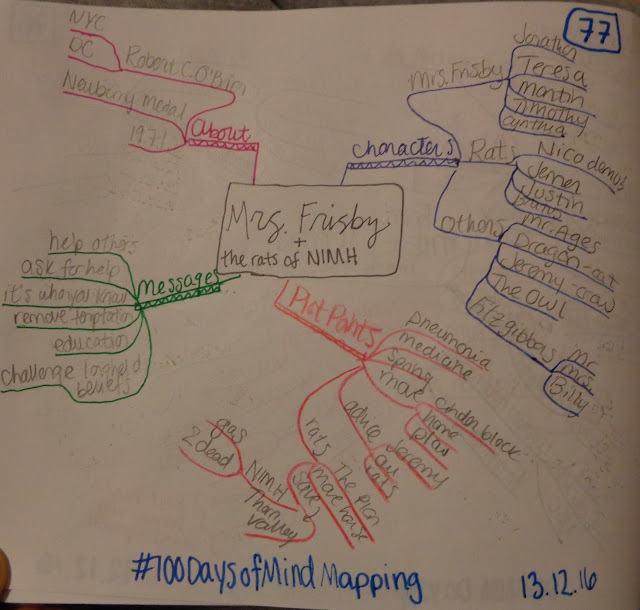 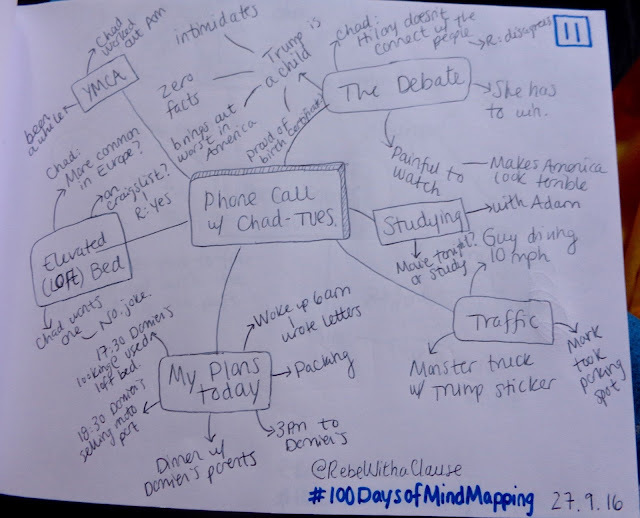 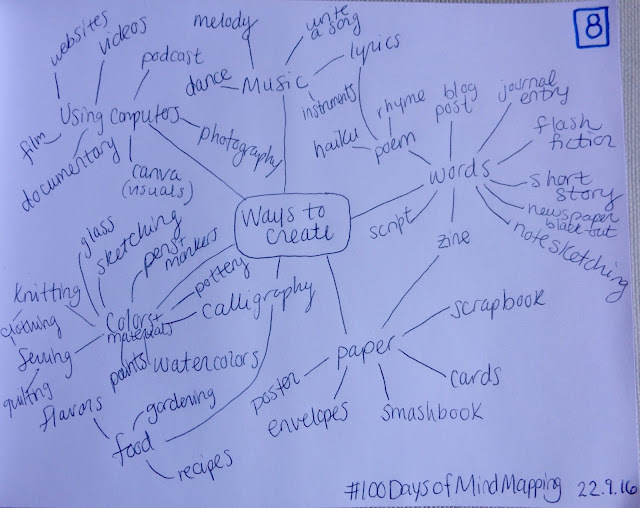 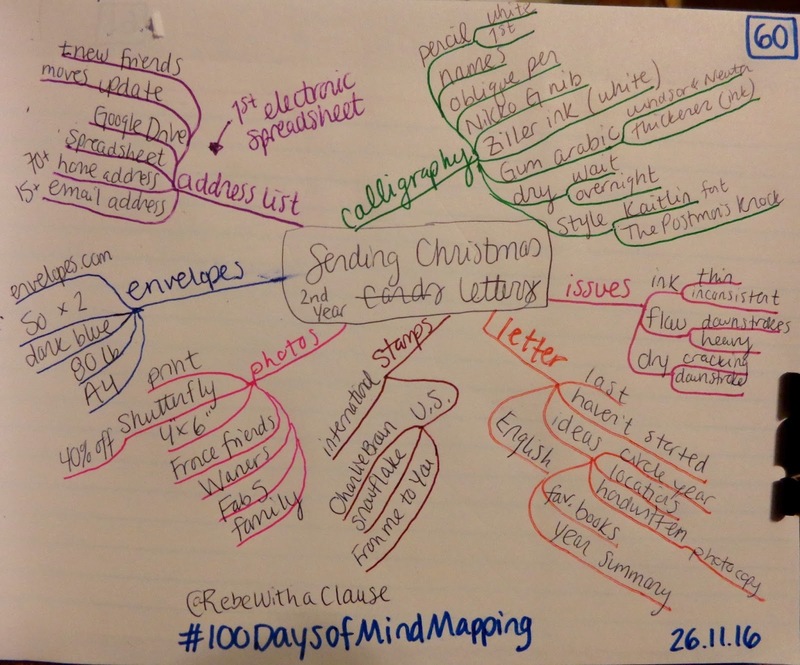 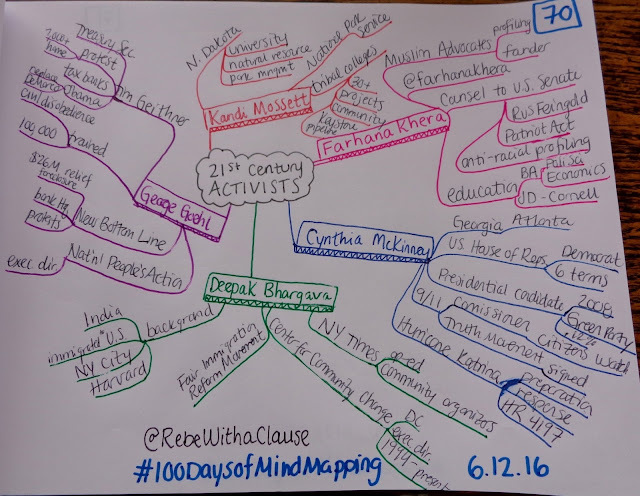 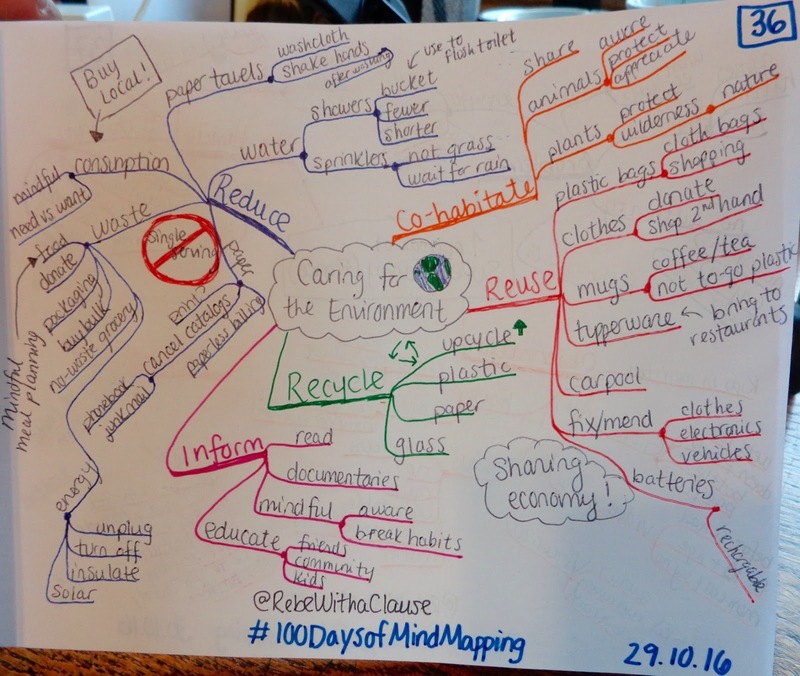 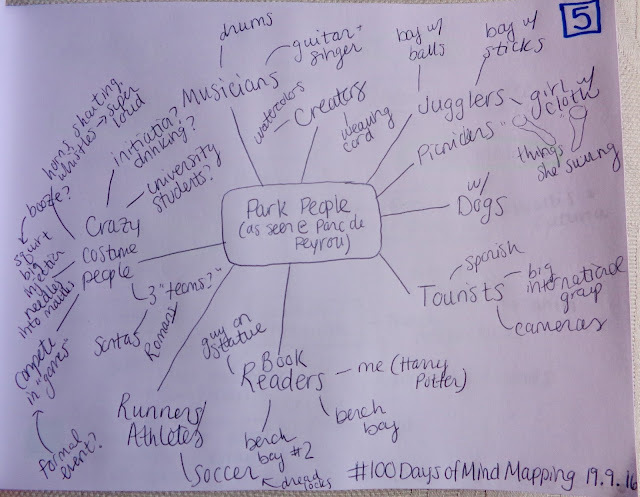 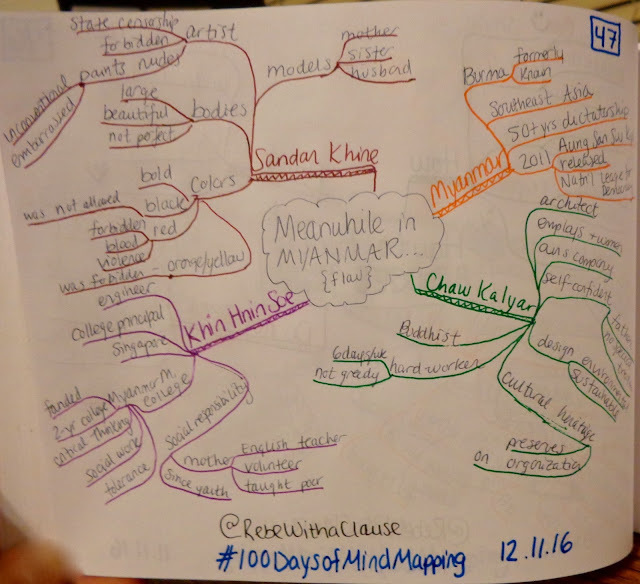 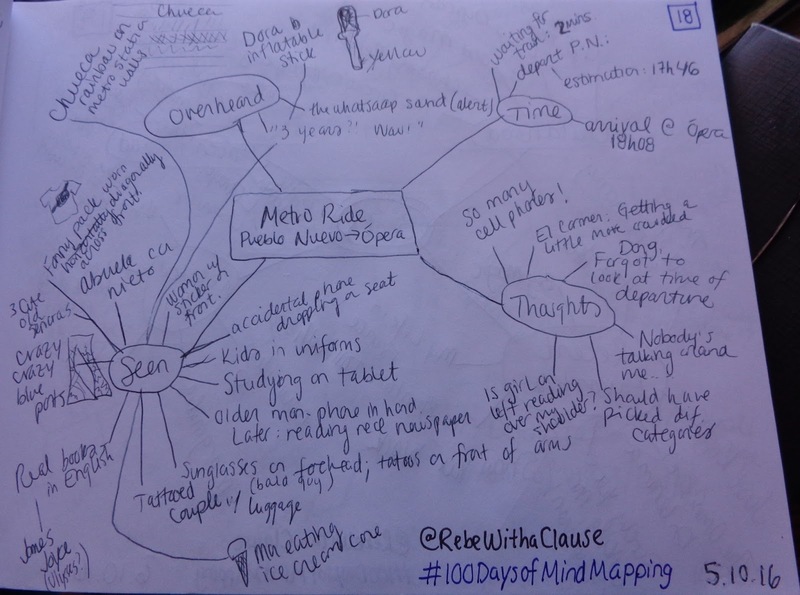 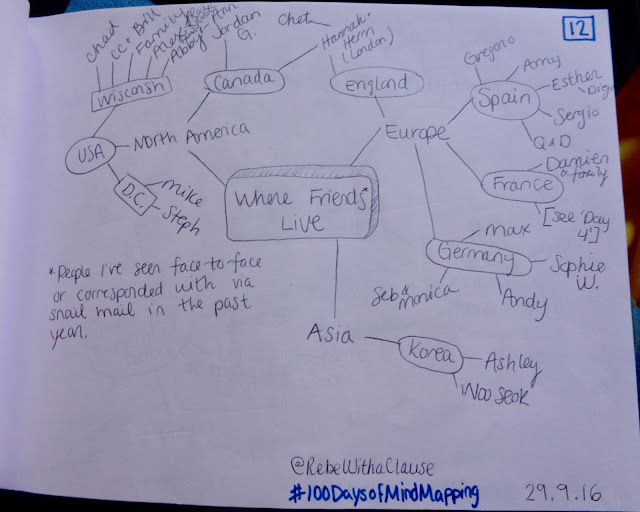 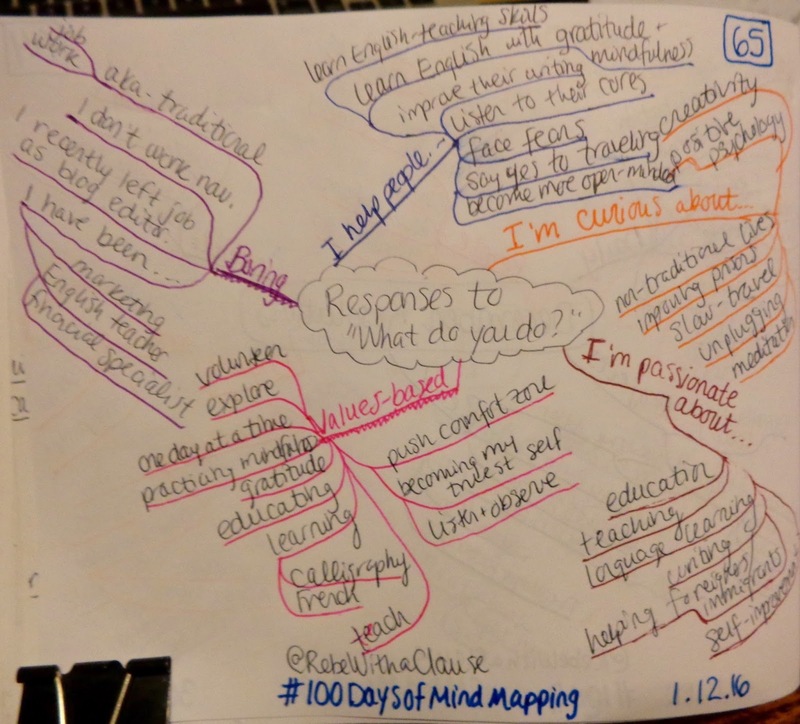 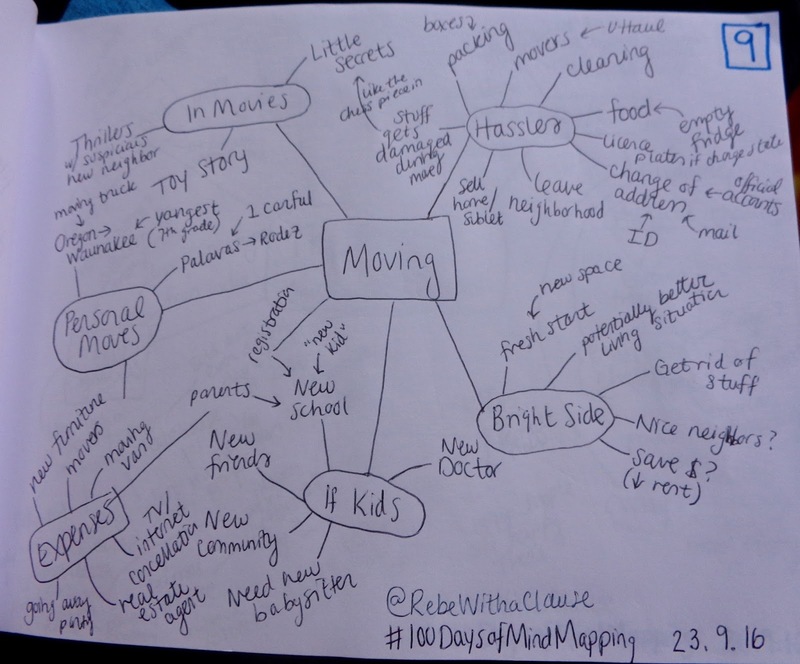 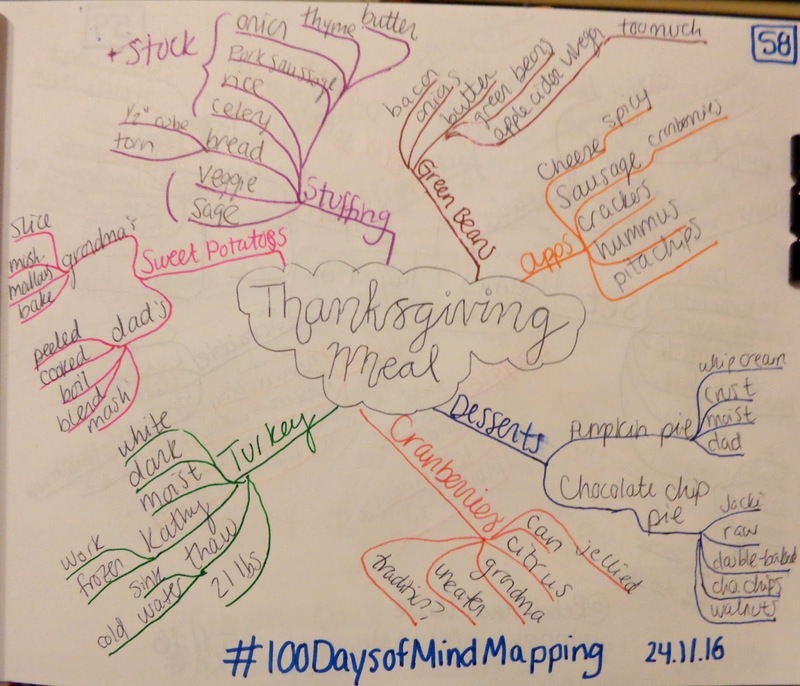 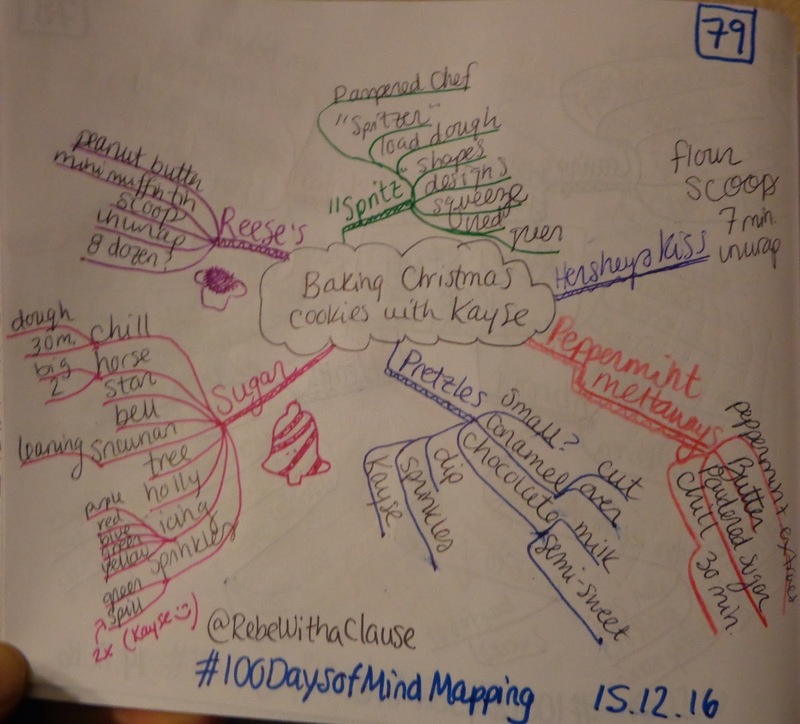 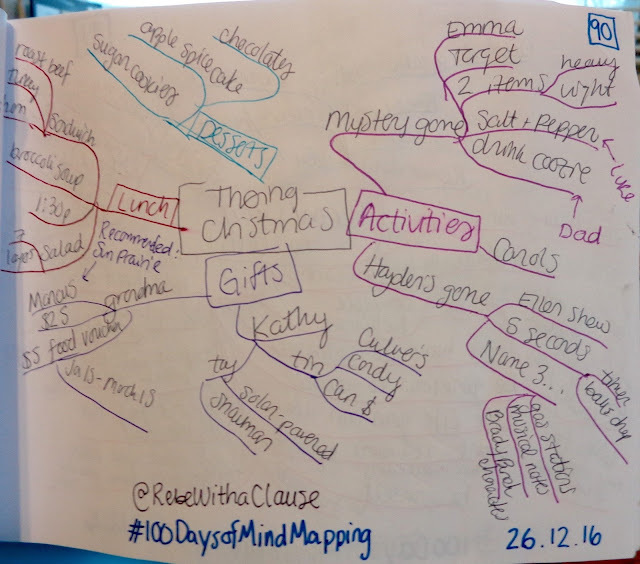 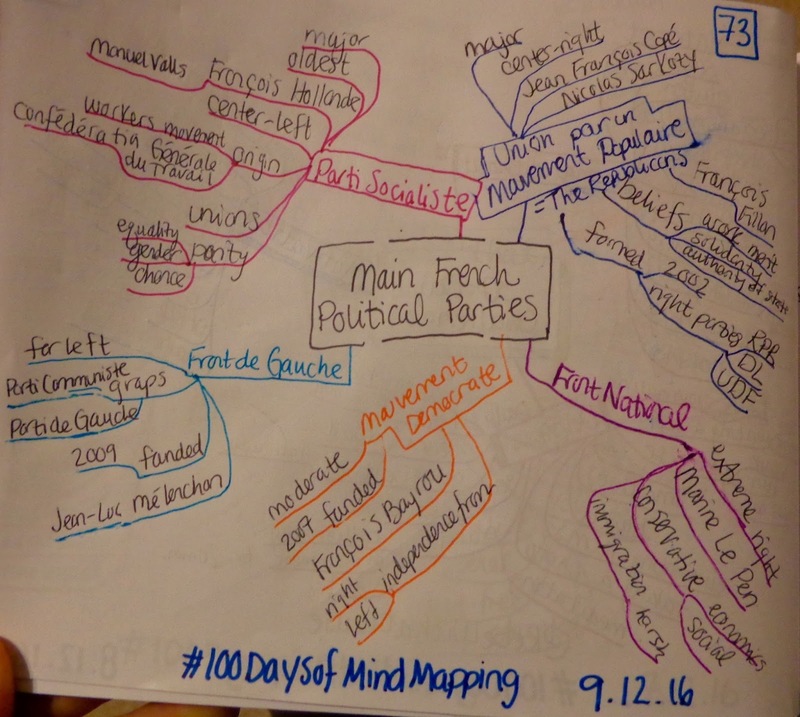 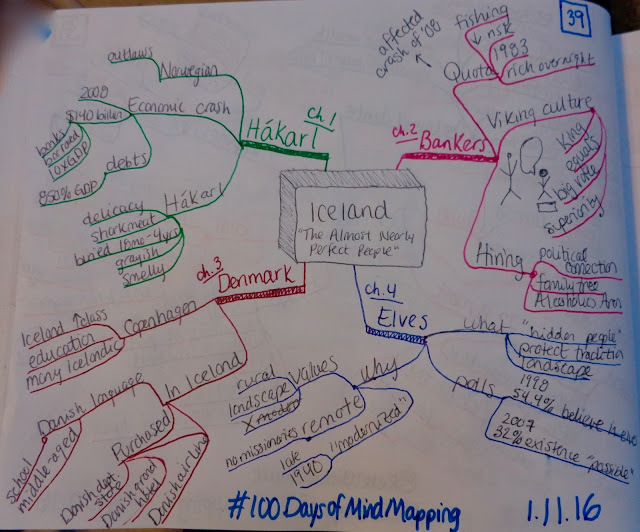 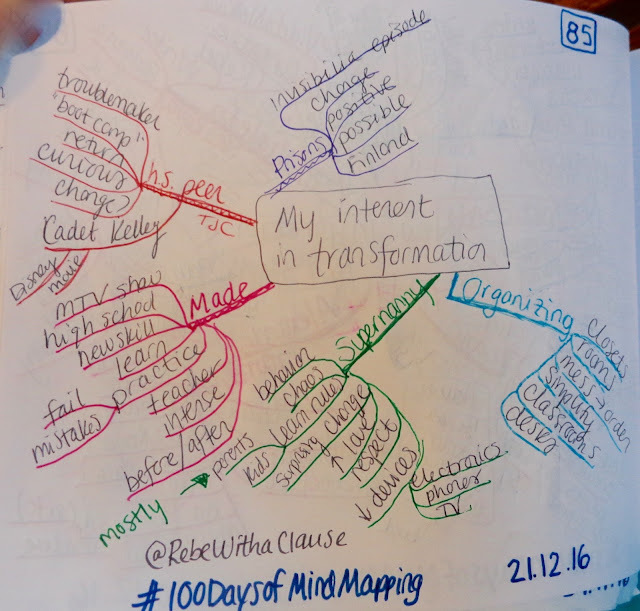 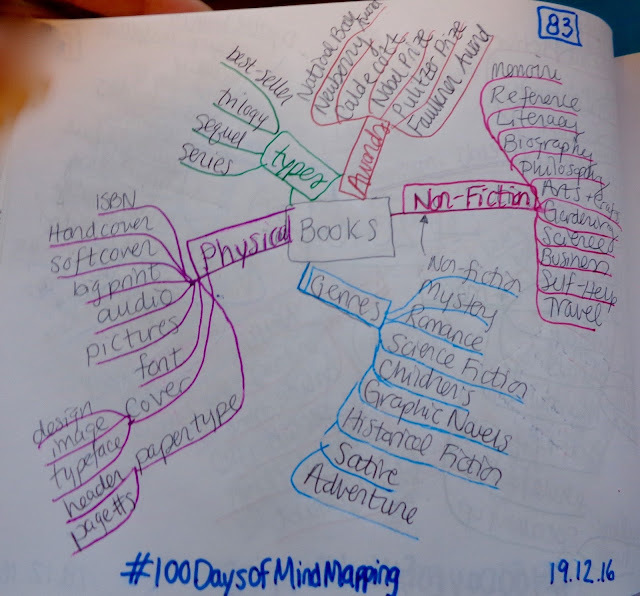 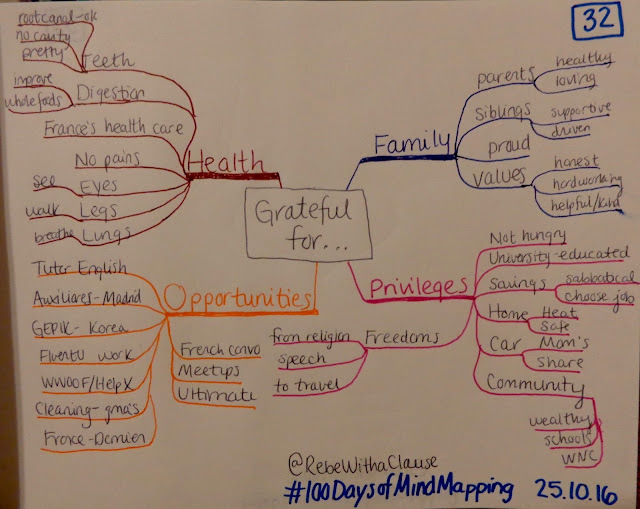 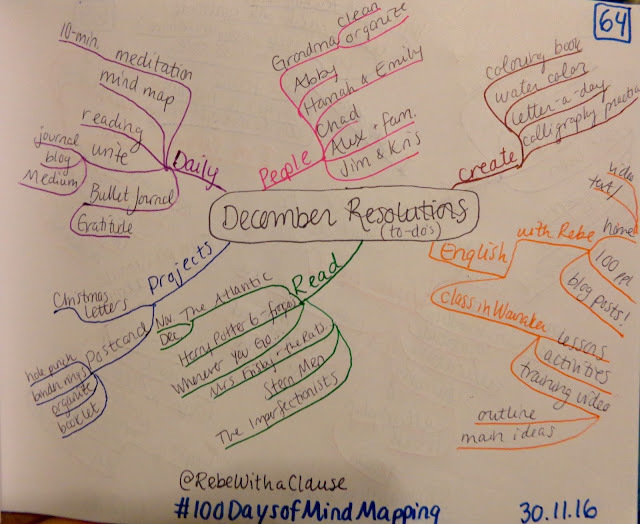 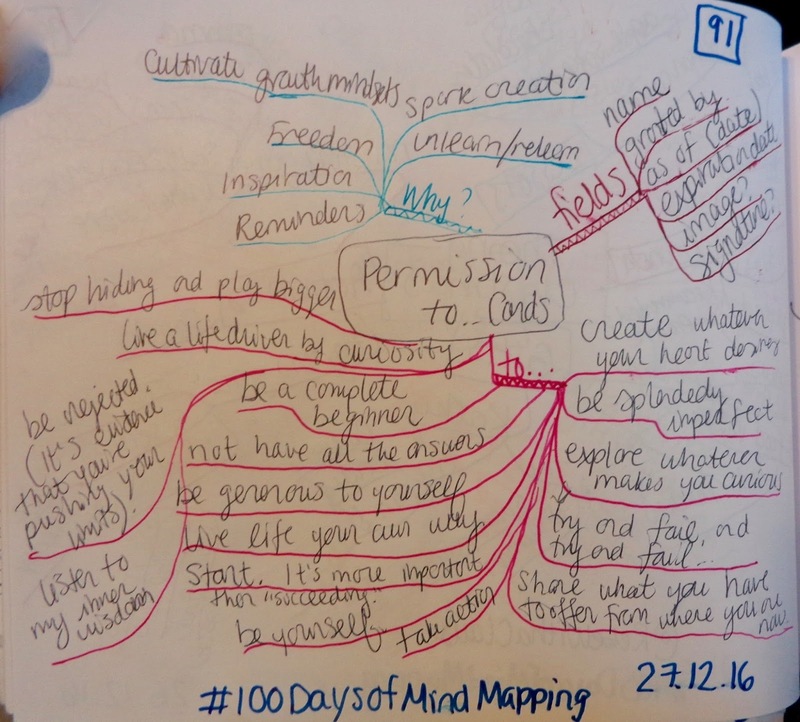 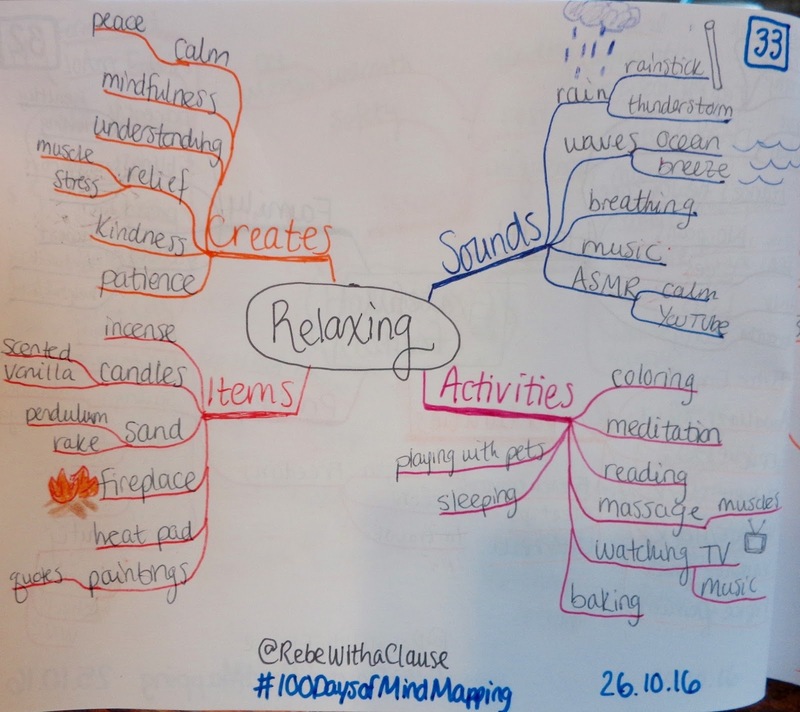 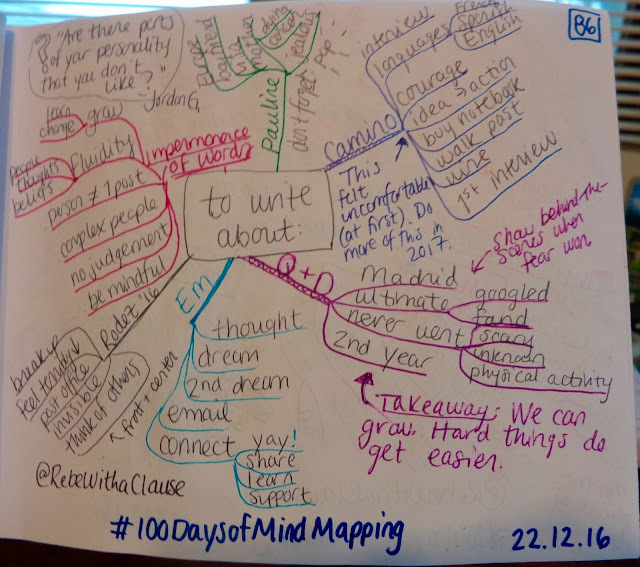 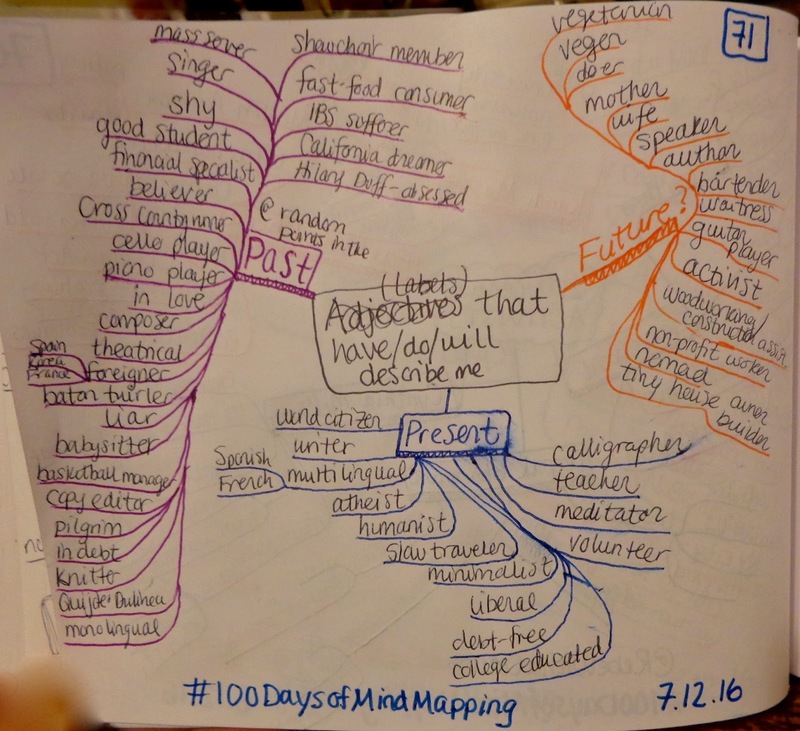 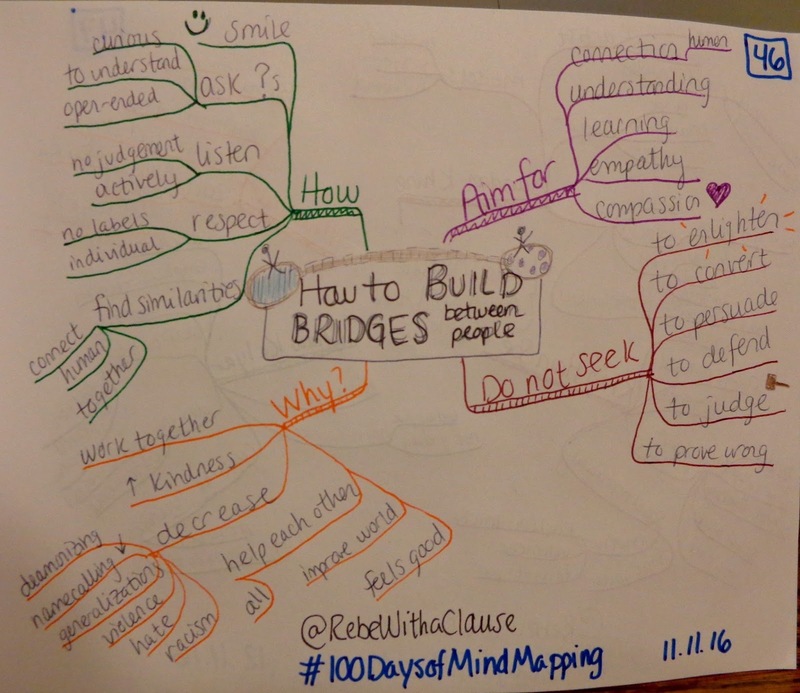 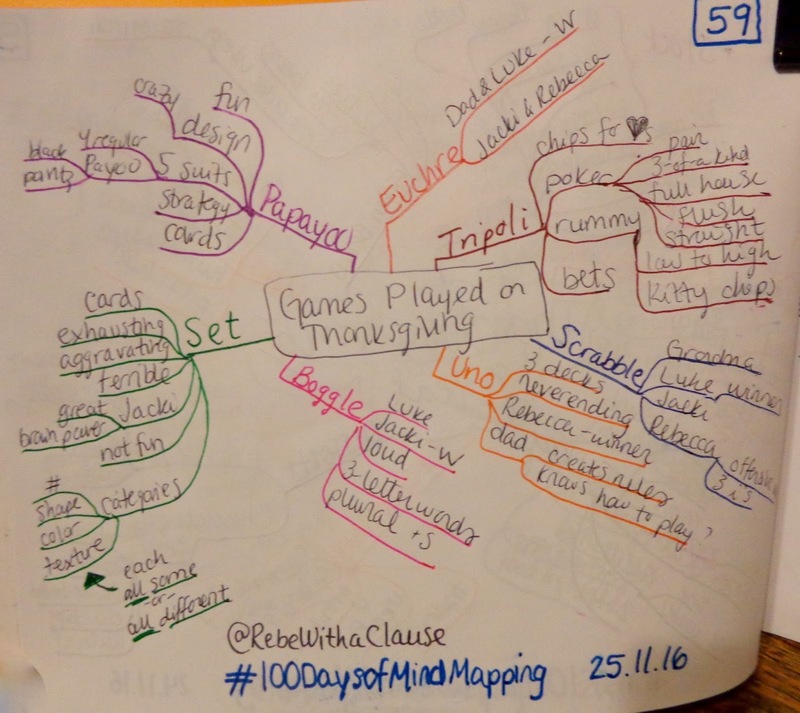 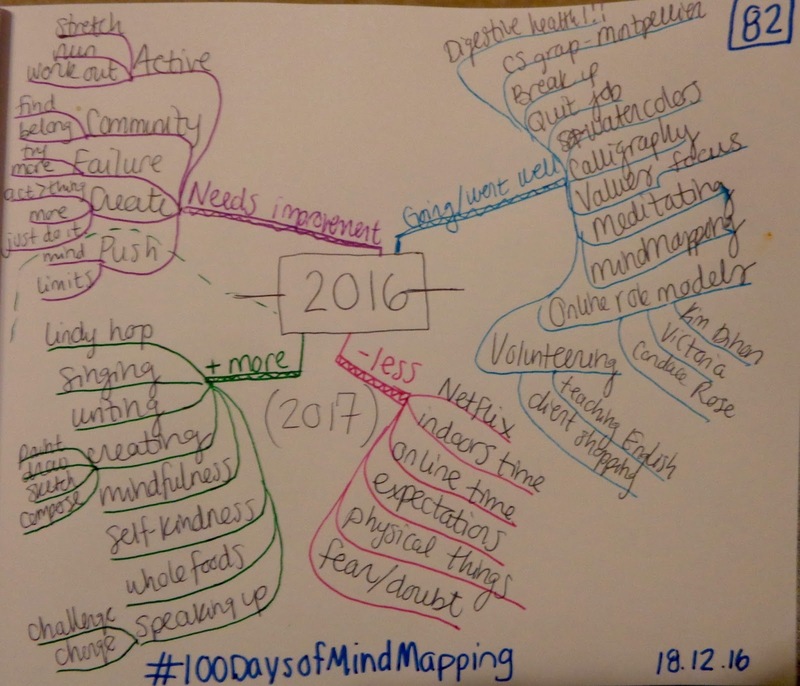 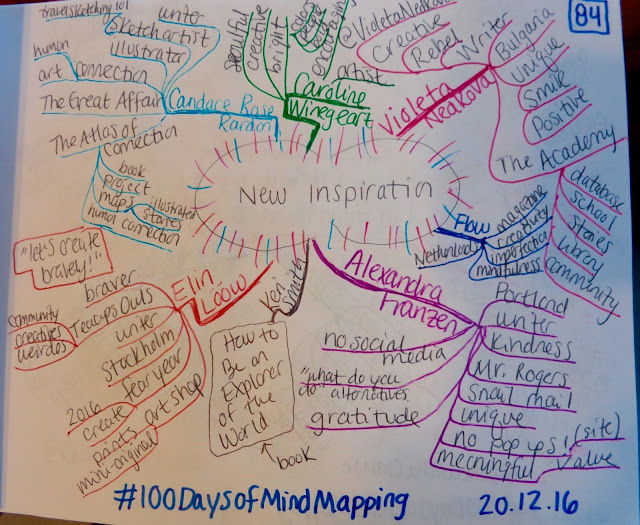 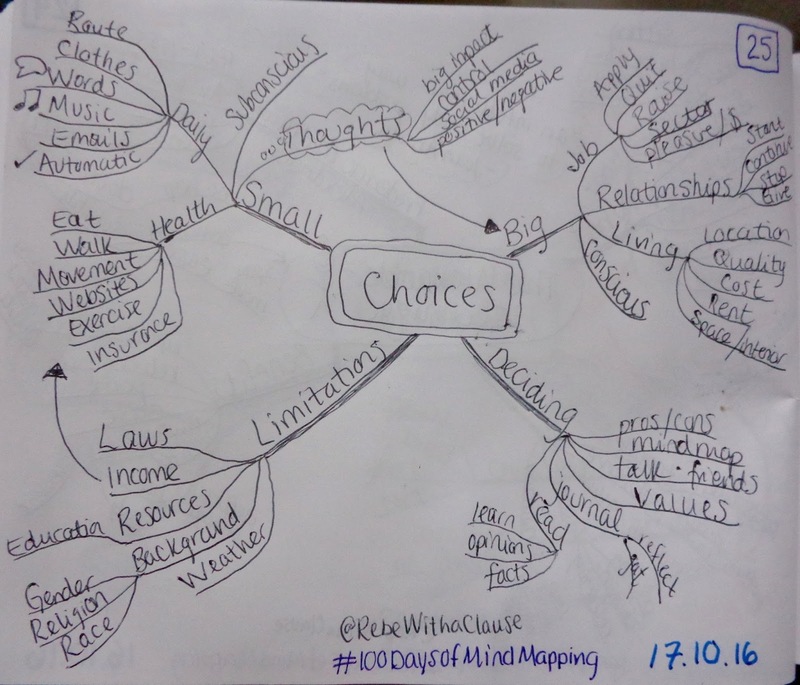 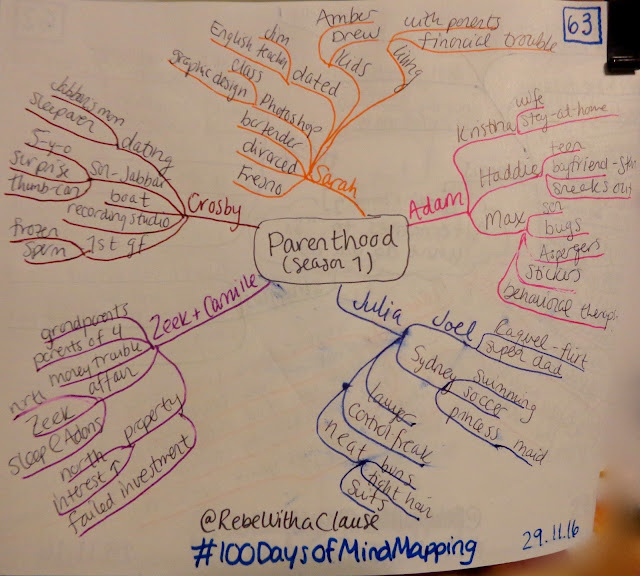 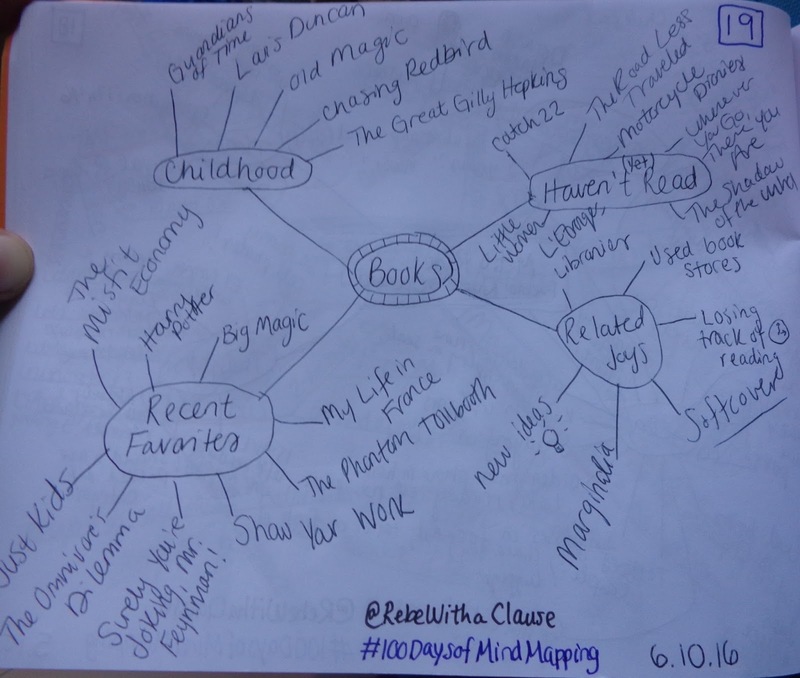 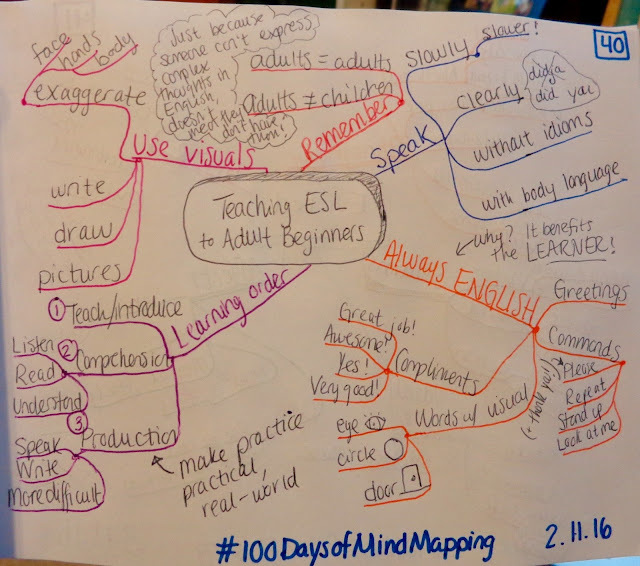 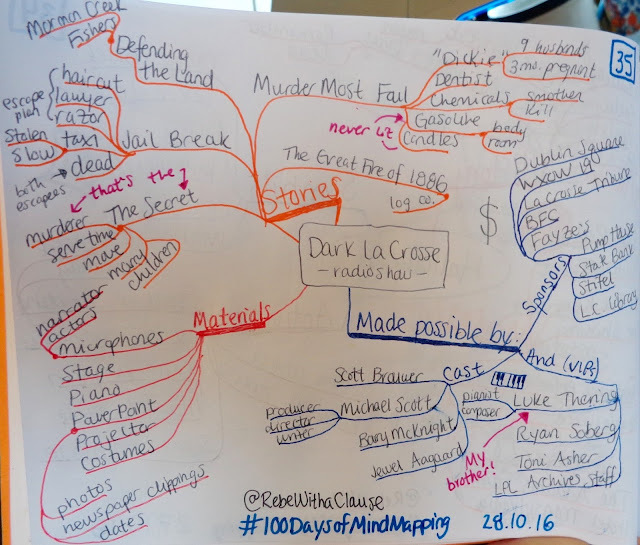 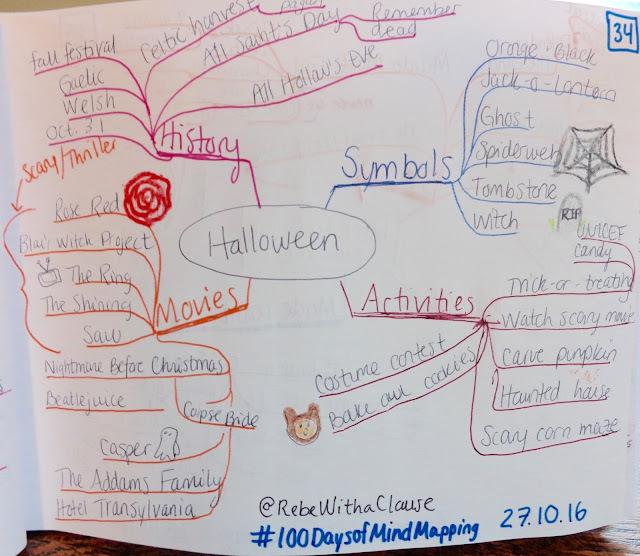 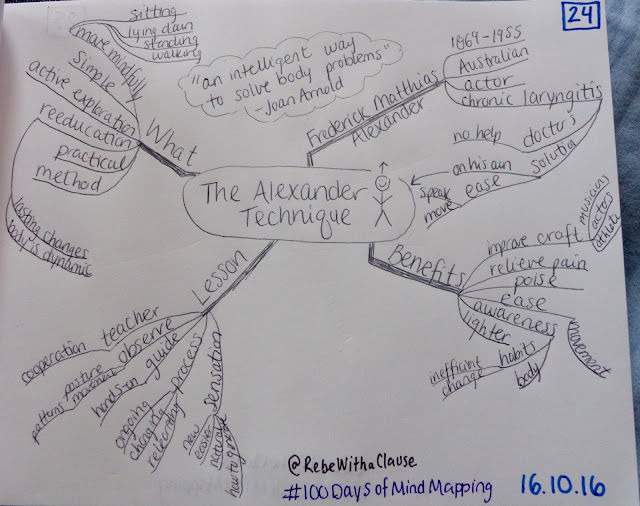 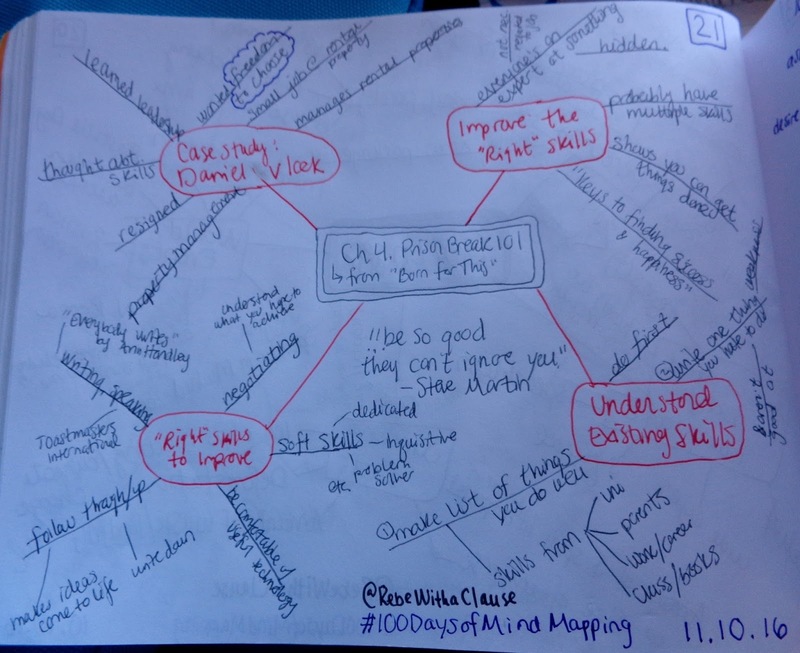 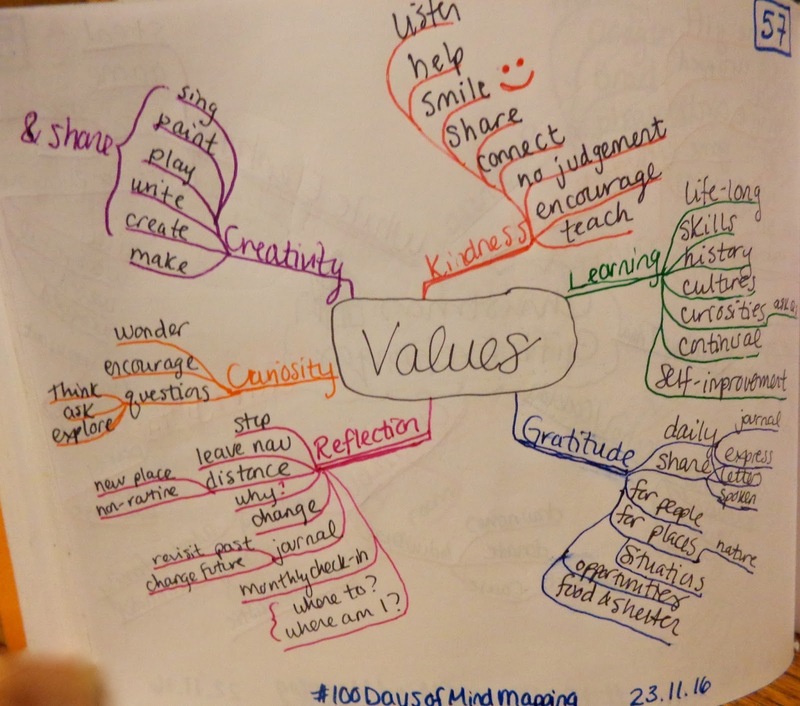 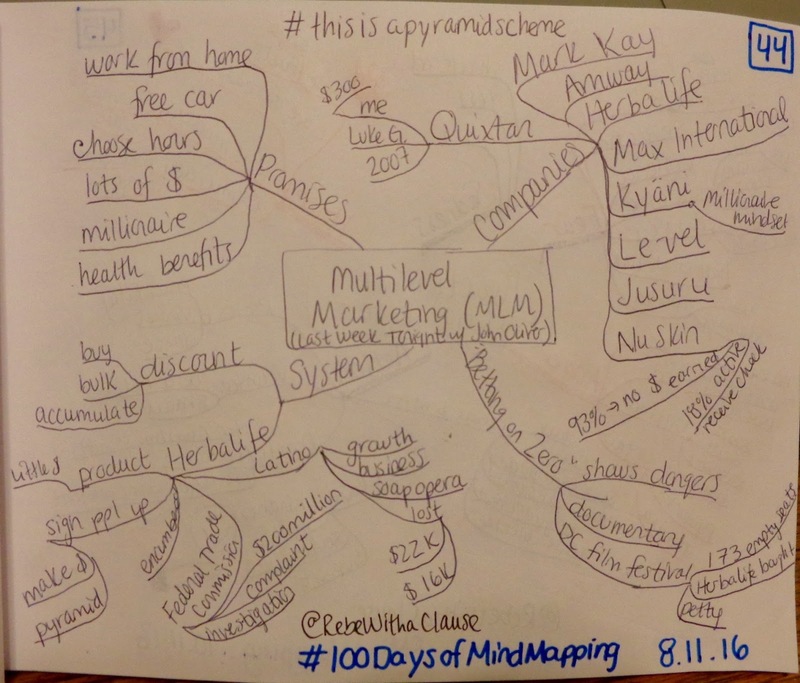 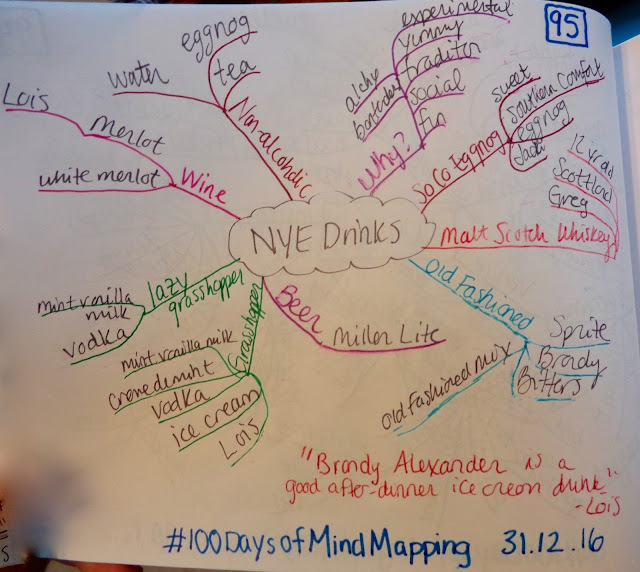 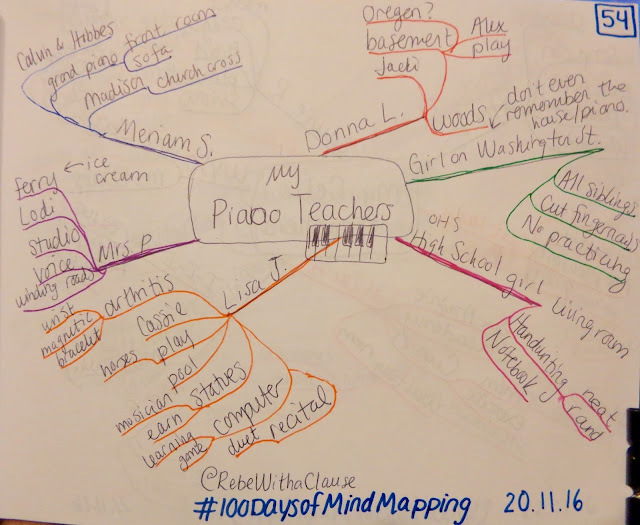 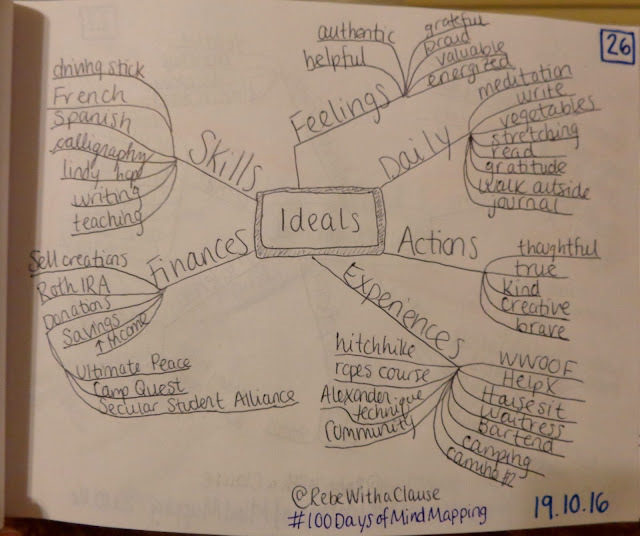 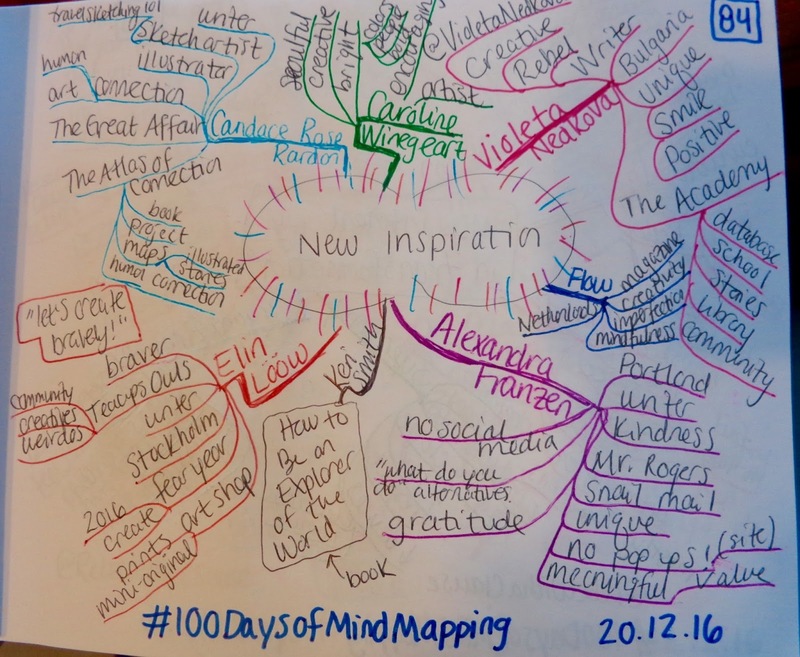 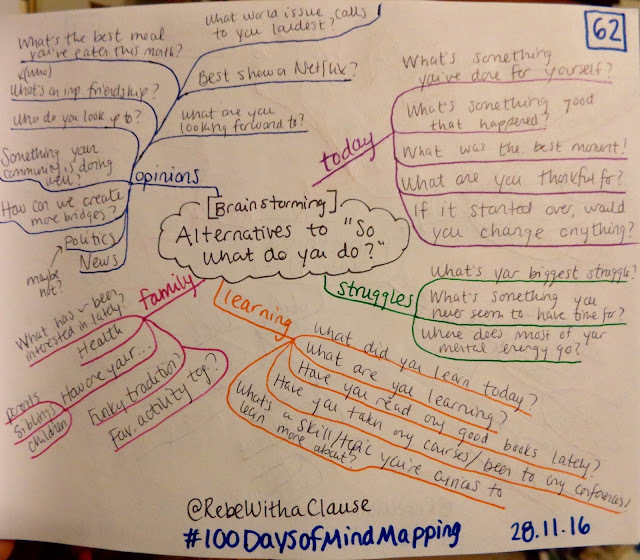 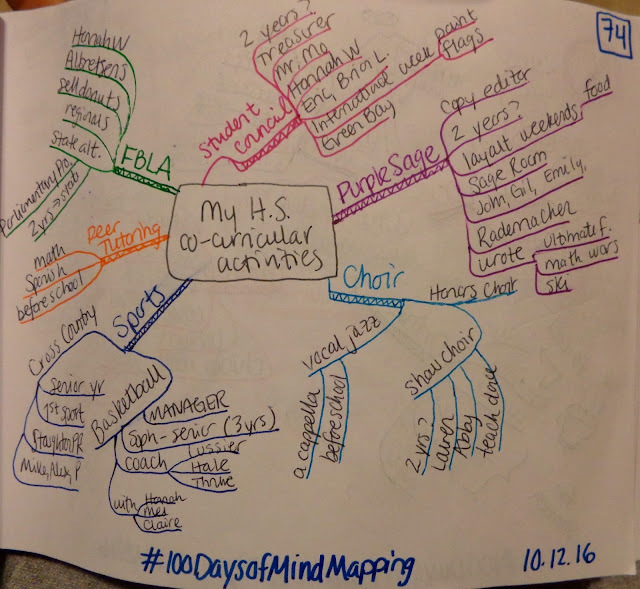 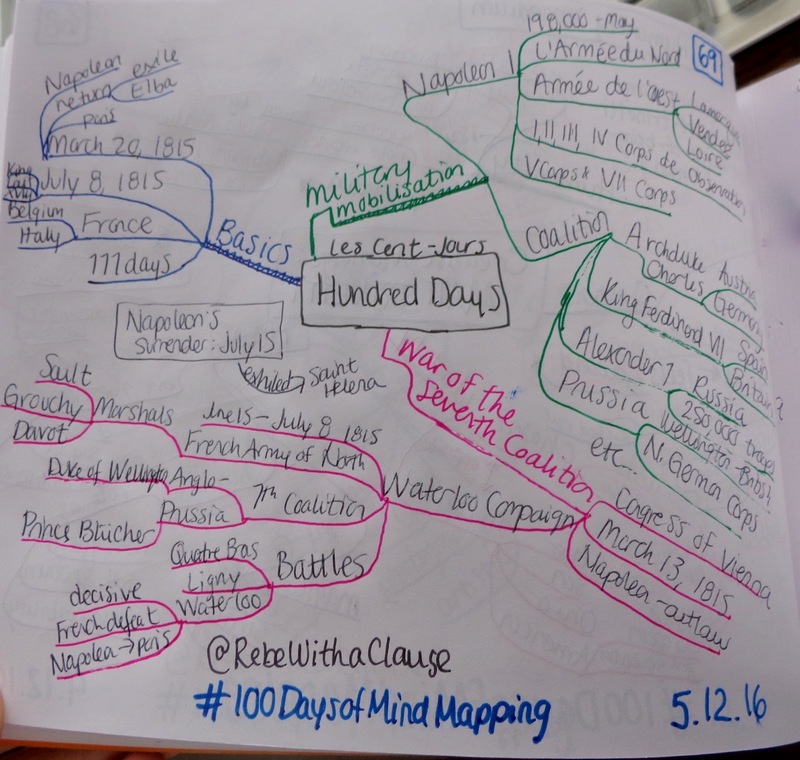 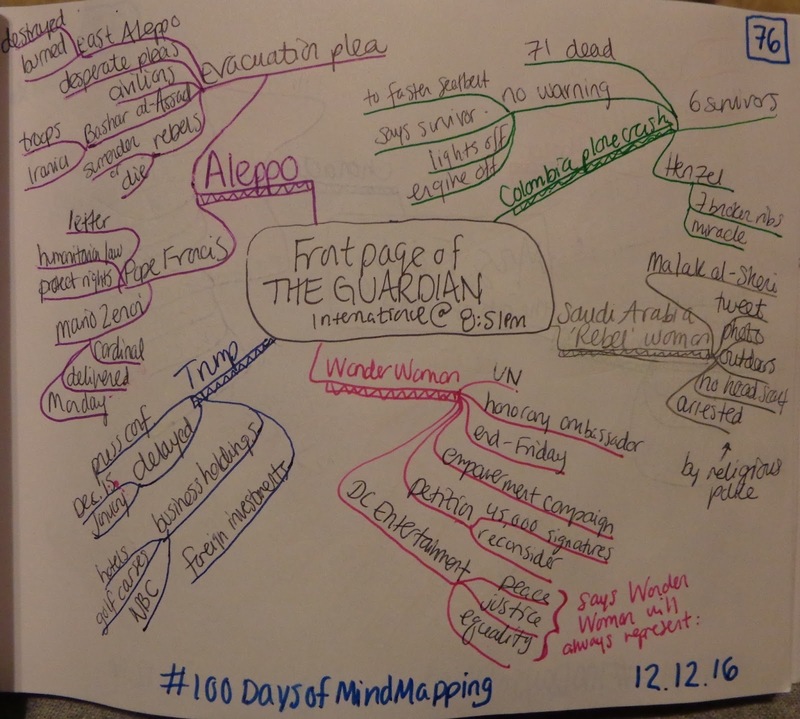 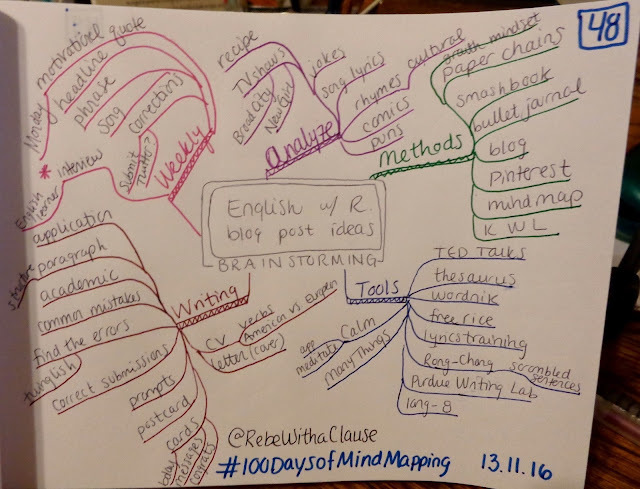 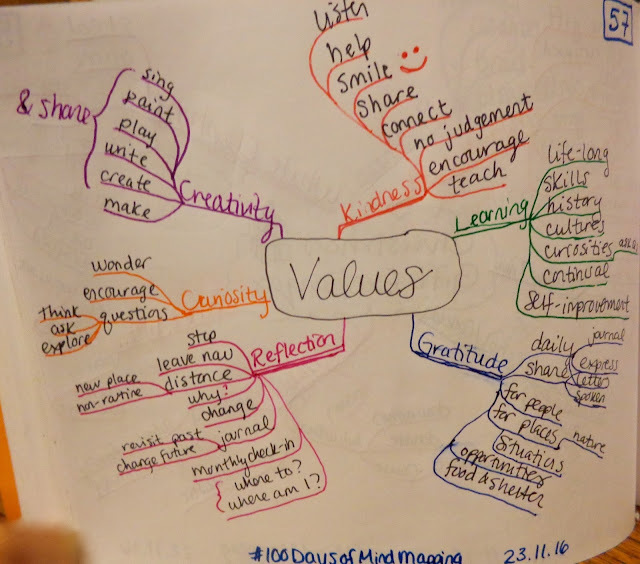 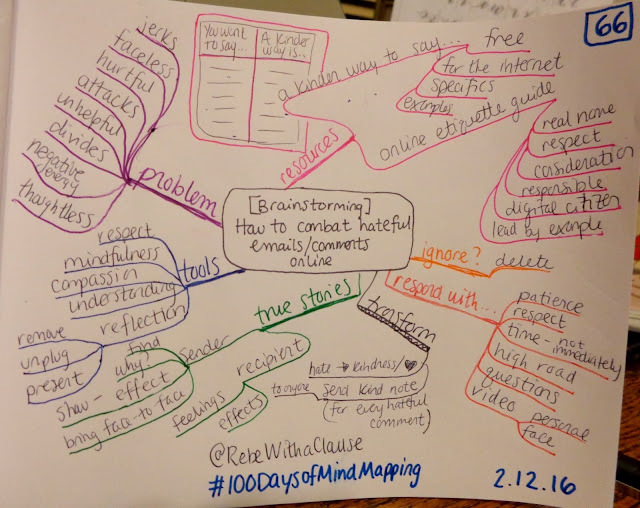 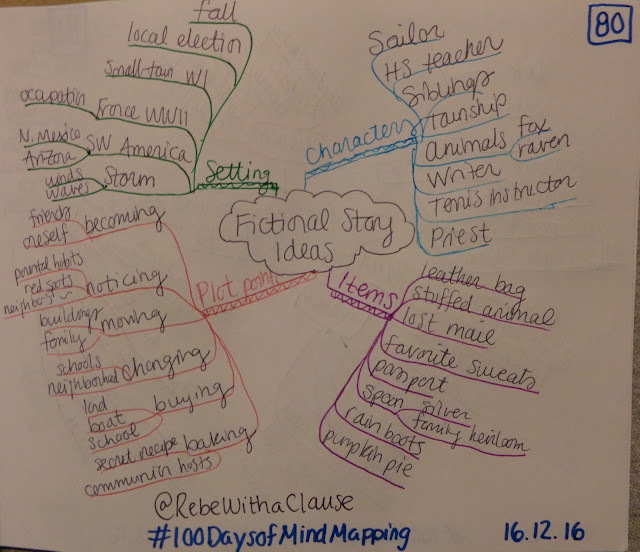 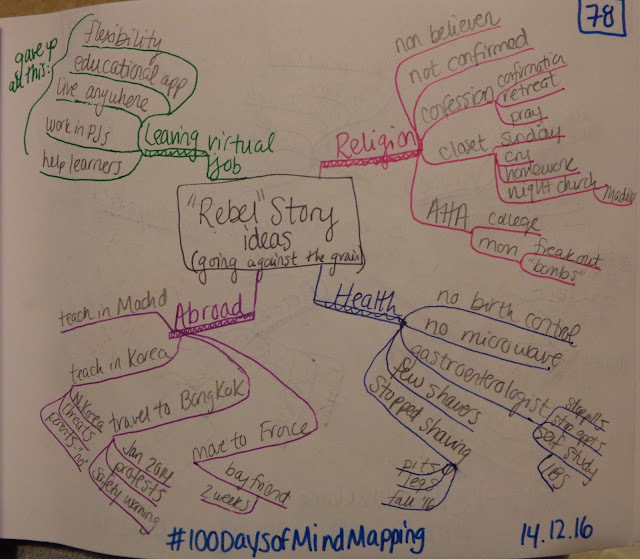 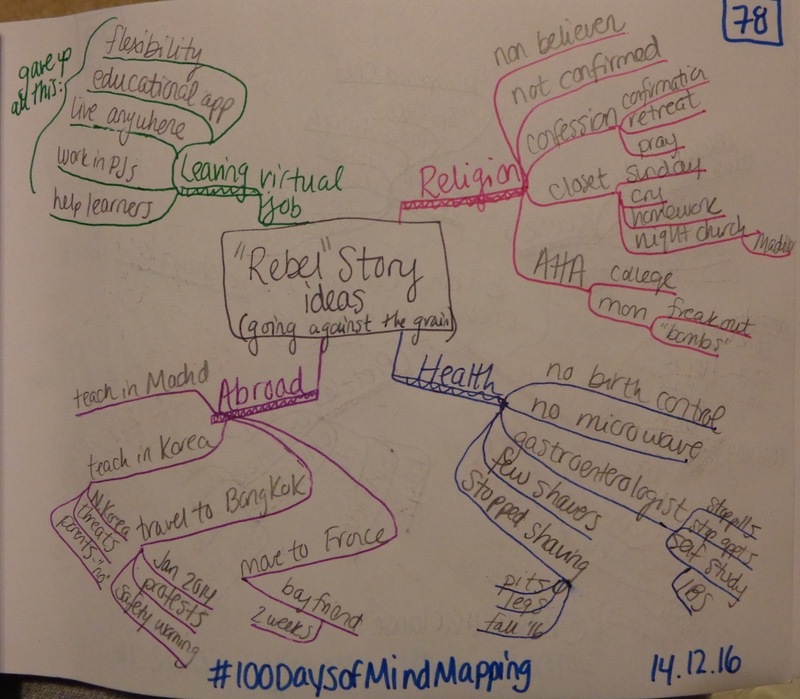 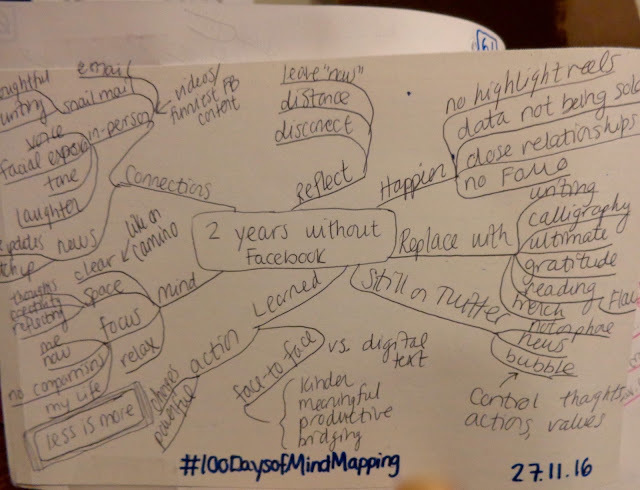 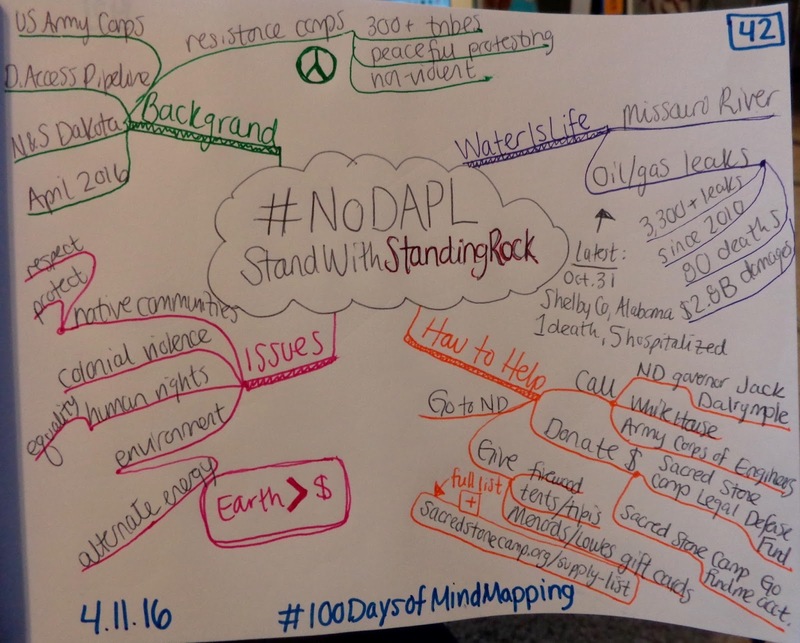 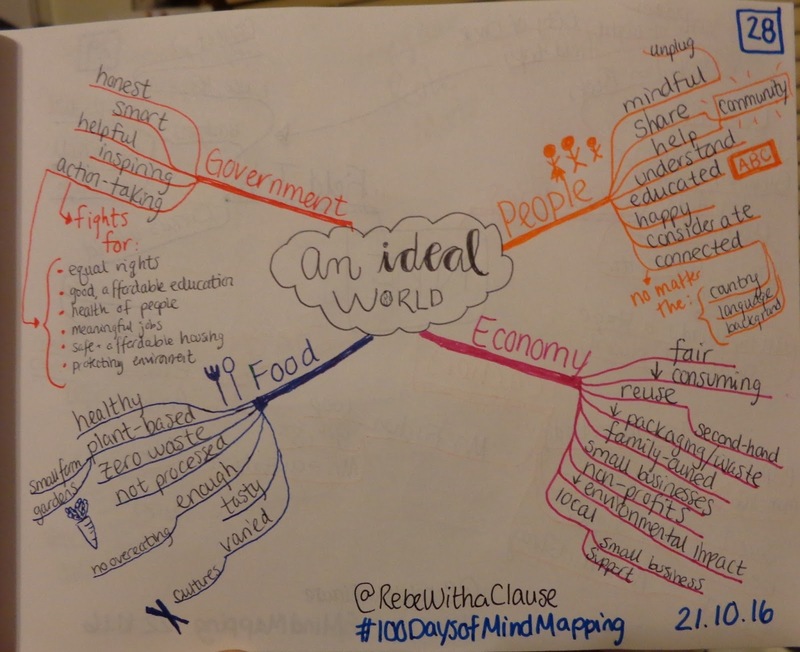 From September 15, 2016 - January 9, 2017 I took part in a #The100DayProject of making a mind map each day, for 100 days. The purpose of The 100-Day Project is to encourage 100 days of making. 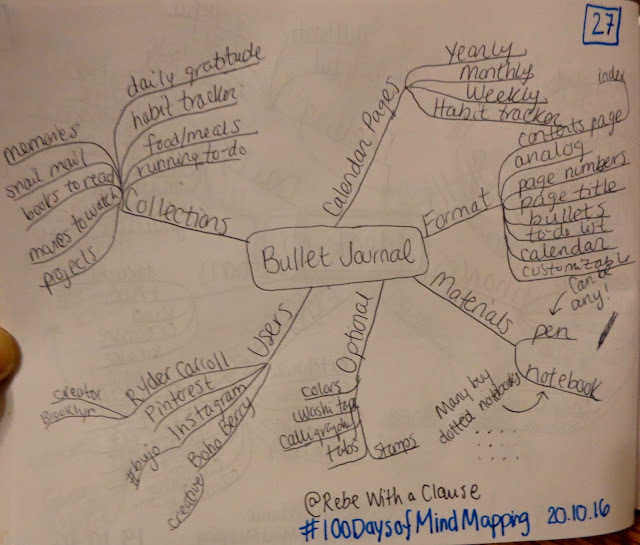 It's not about finished products; it's about the process. 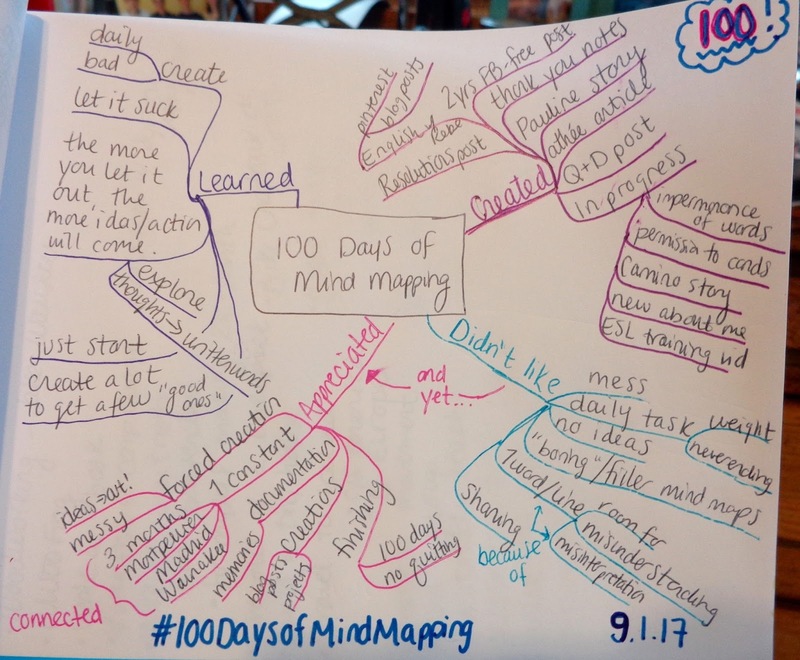 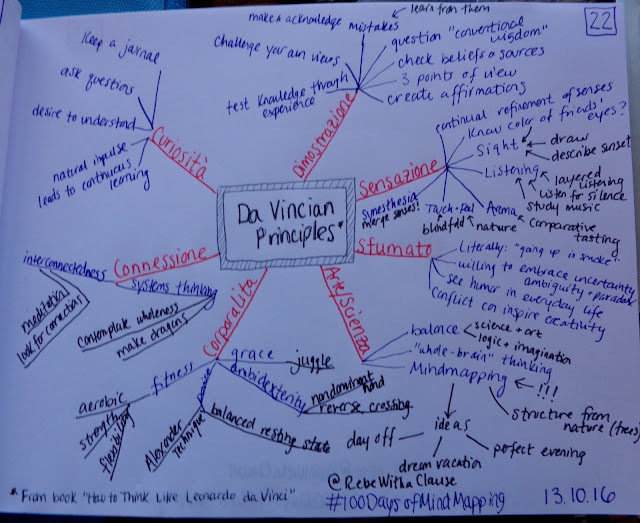 So although each mind map (the product) is not the purpose, below you'll find all of them to date so that you can see the process. 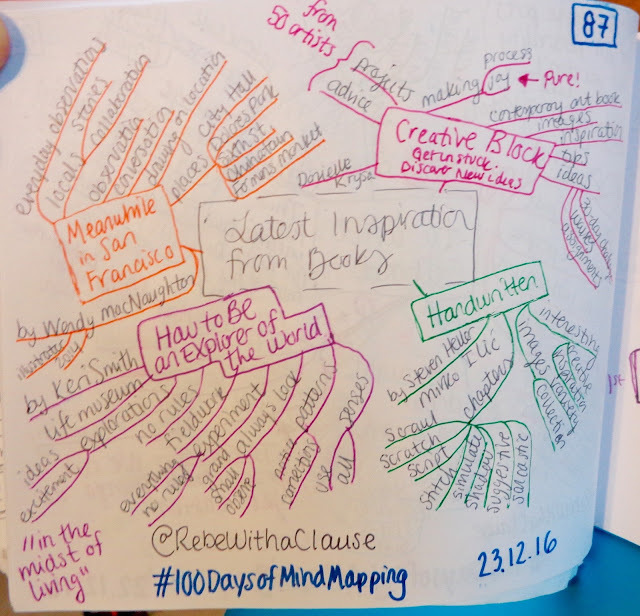 Lastly, here's a reflection I wrote in June 2017 about what this creative challenge felt like and what I learned along the way. 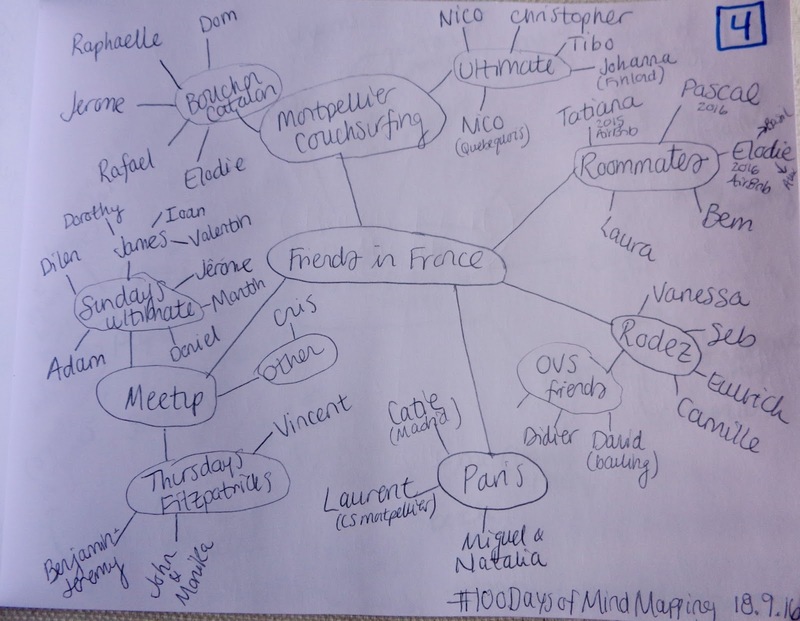 The other night I went to dinner with two people from New Caledonia, which I hadn't known about until that night. The population of the whole island is roughly the same as that of Montpellier, so it was interesting to imagine what life is like. Damien's sister got married on Réunion, and travels often to Martinique for work, so I hear about those islands often. 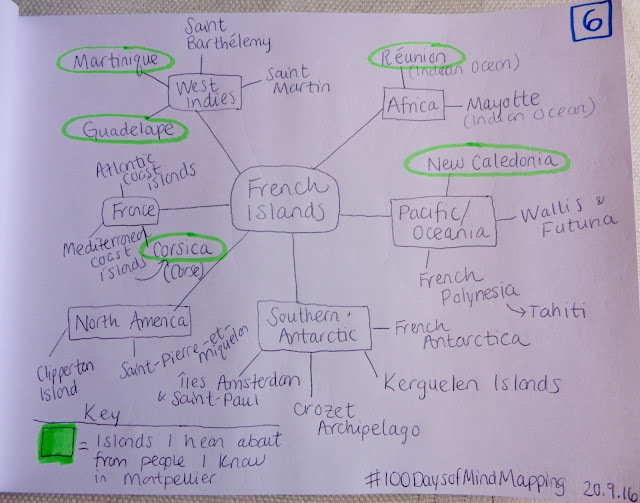 Above is just a fraction of all the French islands, and I used Wikipedia to help. I spent all day in bed, reading, watching TV online, and sleeping. 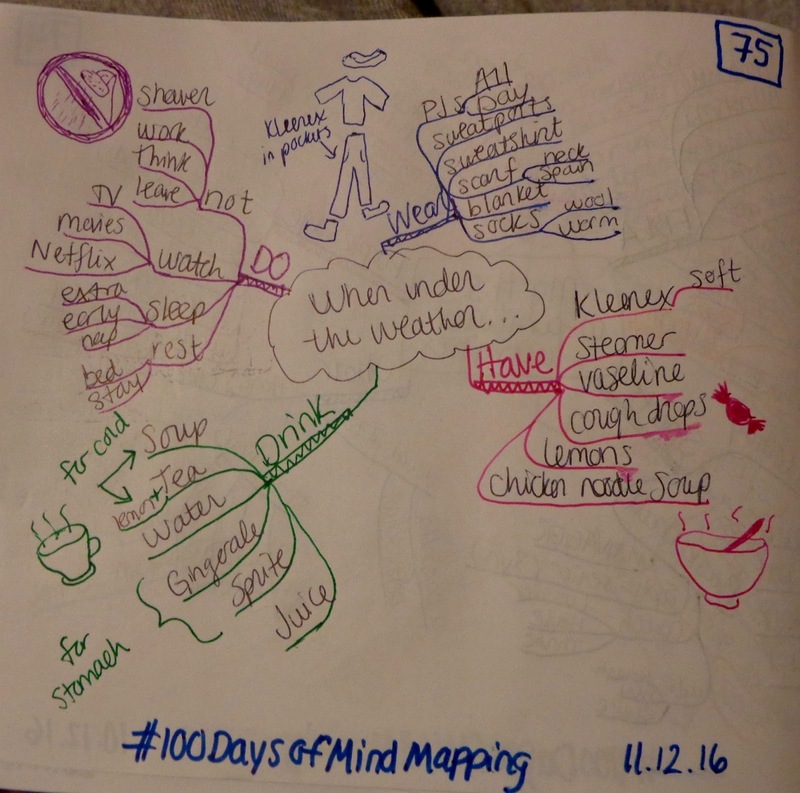 I had unusual stomach pains in the morning, and didn't eat anything until around 5 p.m. 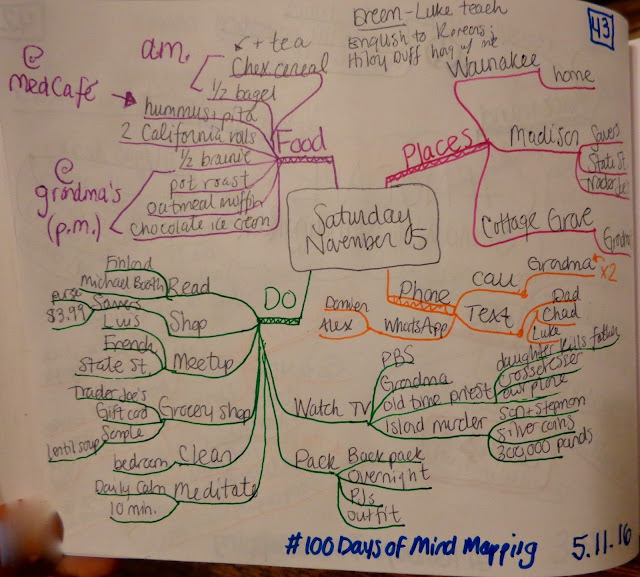 It was around 9 p.m. when I realized shoot, I hadn't made a mind map yet today. And since I'm leaving Montpellier in exactly one week, this idea came to mind. 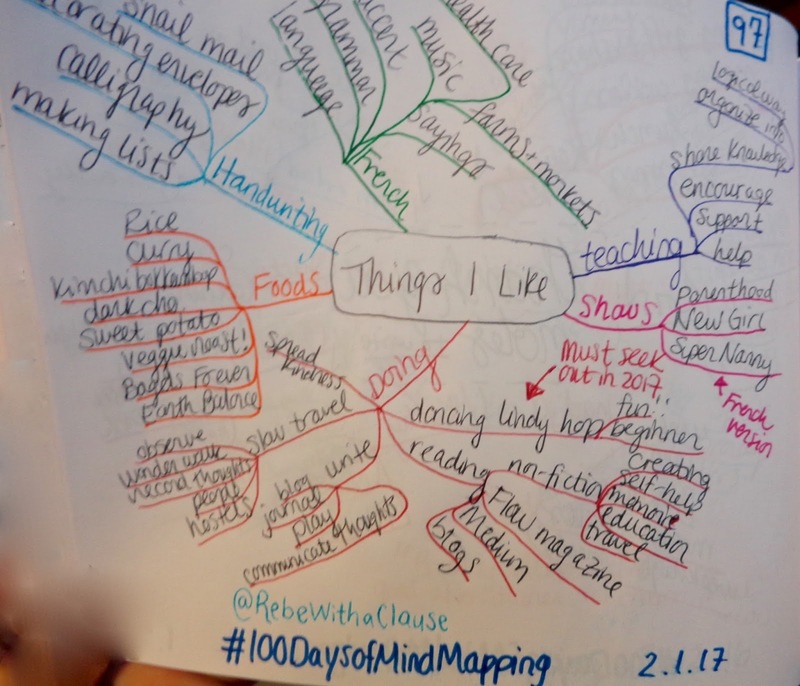 I had no ideas today; this one felt like fluff. Today marked a first in this project, as I drew out the above mind map while listening to "The Power of Categories" from the Invisibilia podcast. Day 11: Phone Call with Chad—Tues. 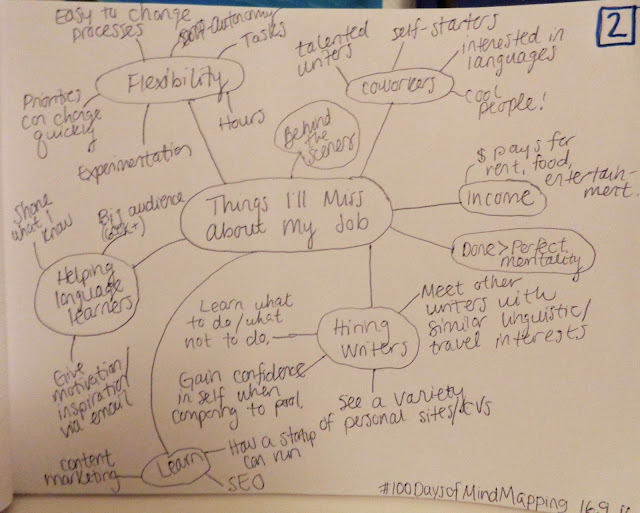 I rather enjoyed not having to come up with all the content yesterday, so I made today's mind map while talking with my friend Chad on the phone. 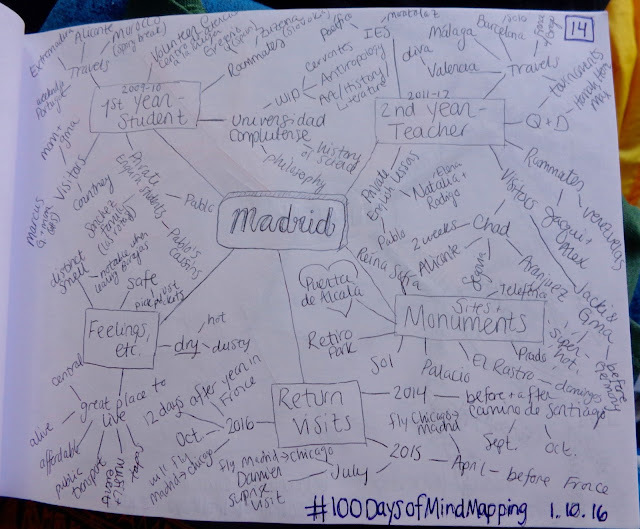 Can you tell where I am this week? 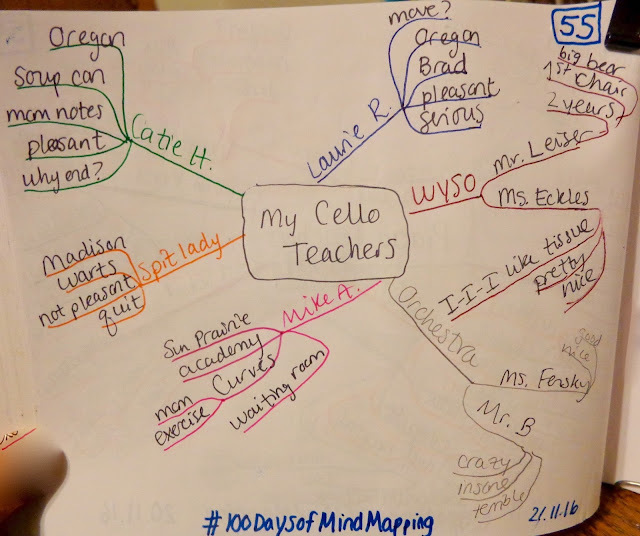 During a brief phone call with my younger brother, he asked about this project and I shared in laughter that I've quickly realized I actually don't like mind maps. 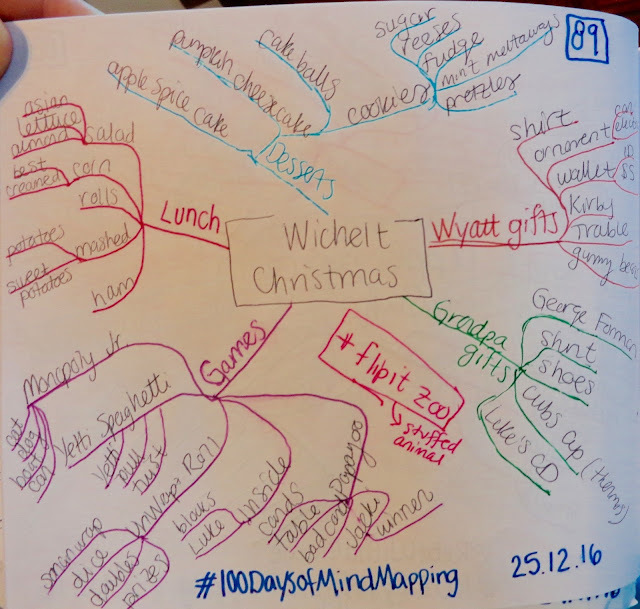 Some Wiki-ing led me to discover I've been making them "wrong," as words should be written on the branches, and at least three colors are recommended—hence the slight change in appearance today. 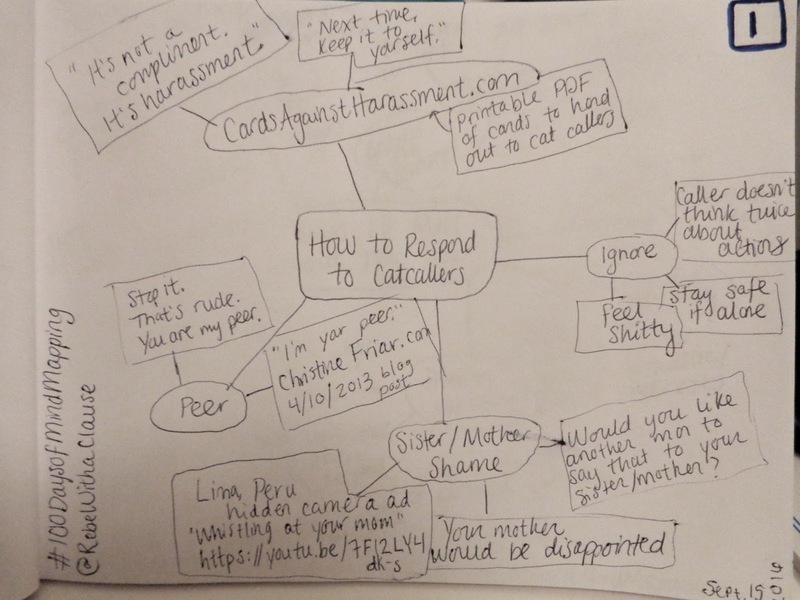 I don't really like writing on the lines, though, so this format probably won't last long. I attempted to live-mind map this metro ride, but it basically ended up being a scrambled list of things I was seeing. 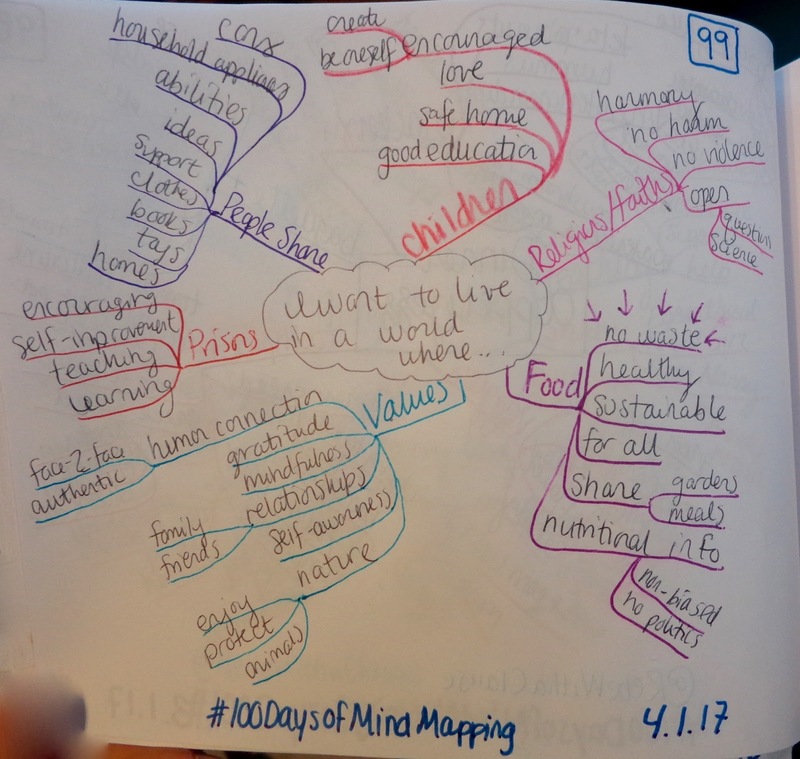 After over a year living abroad, I returned to my parents' home this week (in a town of ~13,000). 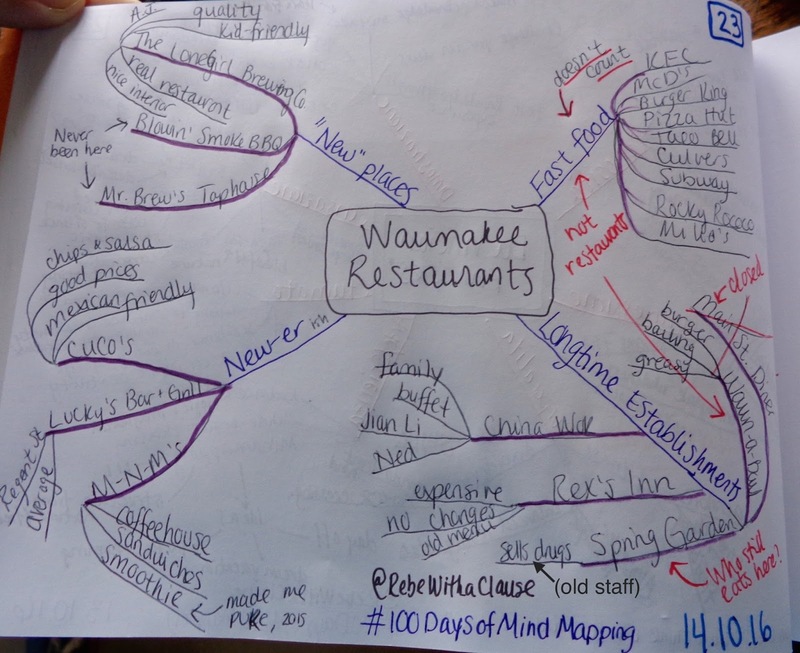 On Friday nights my parents go out to eat somewhere, but the restaurant selection is quite limited. 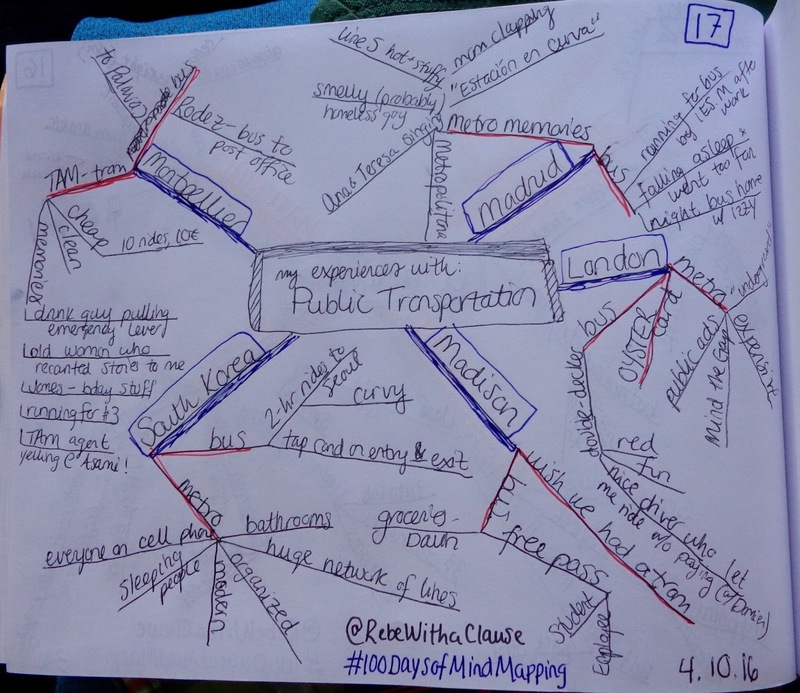 They usually go to one of four or five places. 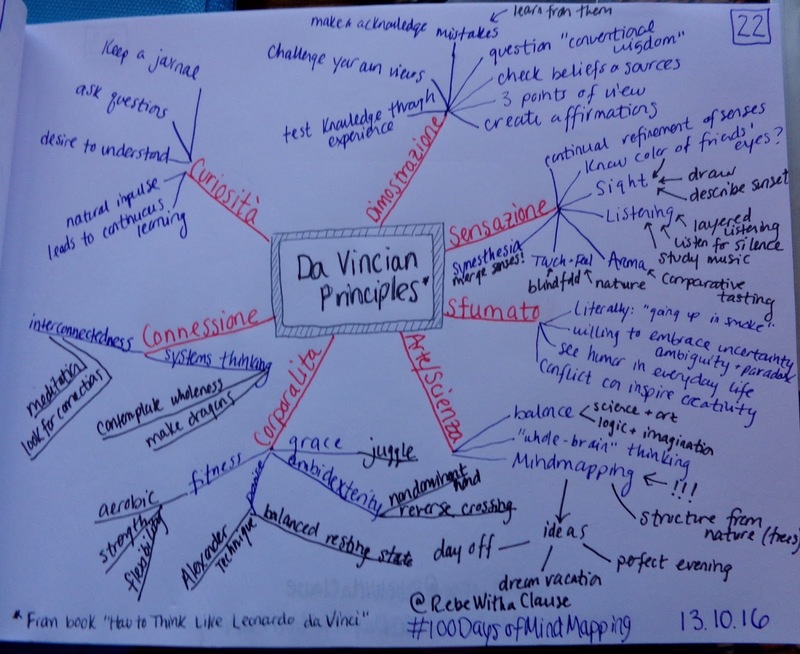 I finished reading "How to Think Like Leonardo da Vinci" today, and learned of The Alexander Technique in the process. 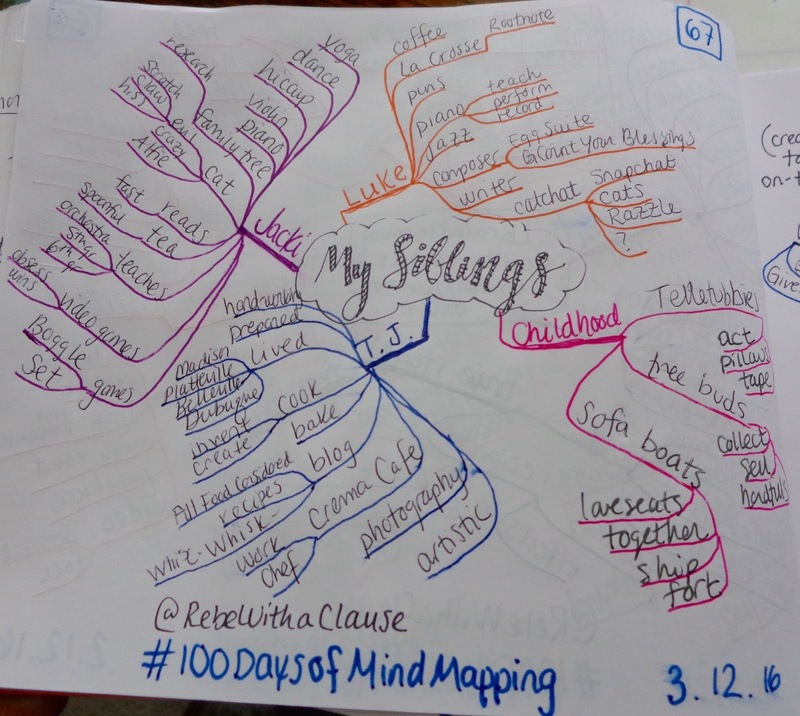 Yet another day's mind map that feels filler, rushed, and insubstantial. 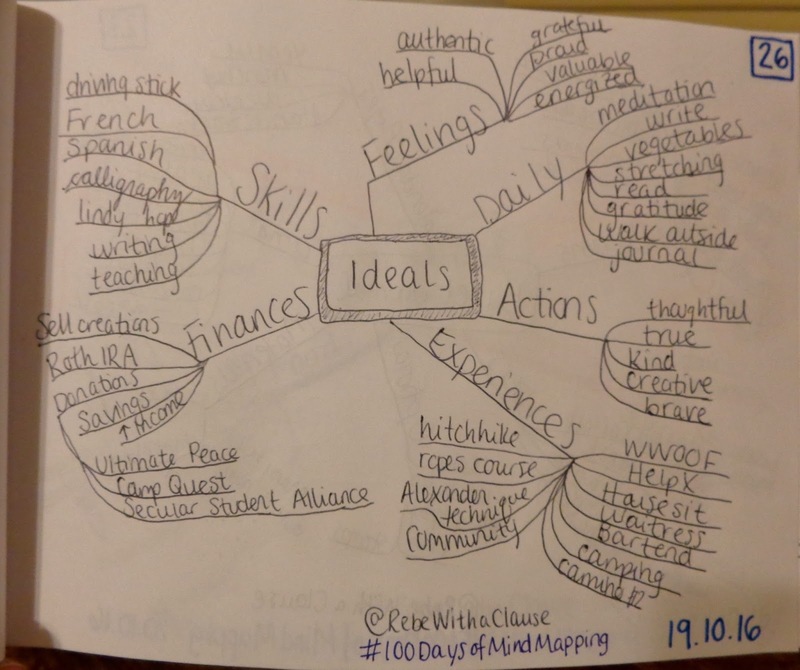 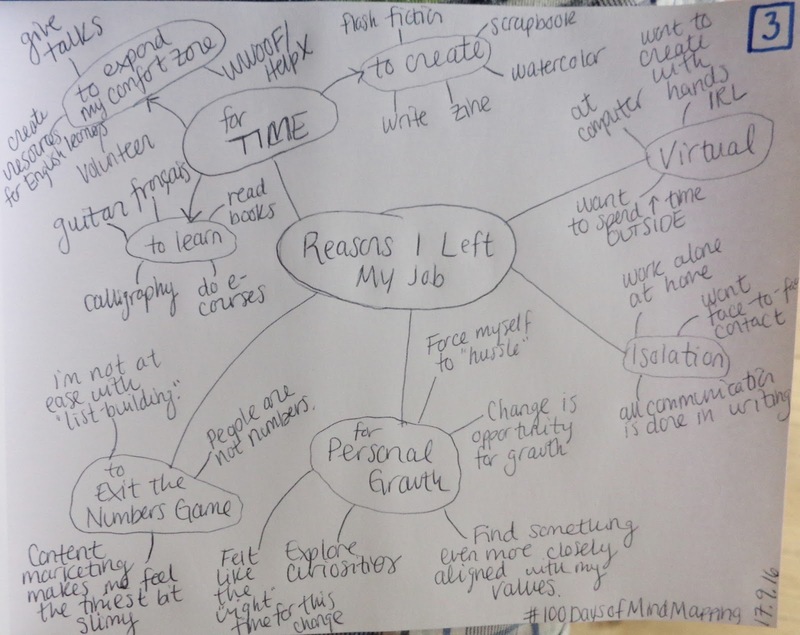 But it's another day's mind map! 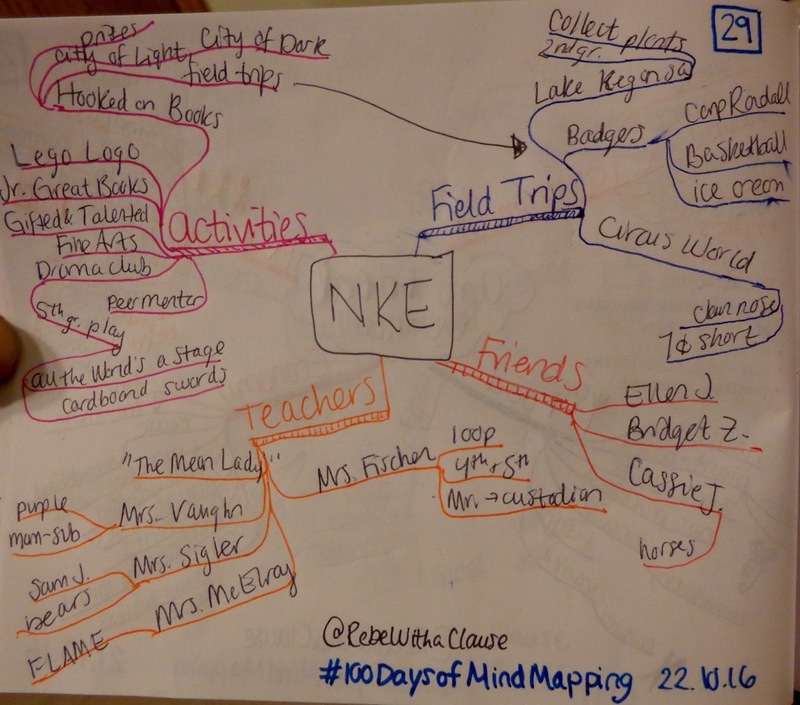 NKE was my elementary school. Another sloppy/rushed-feeling mind map. 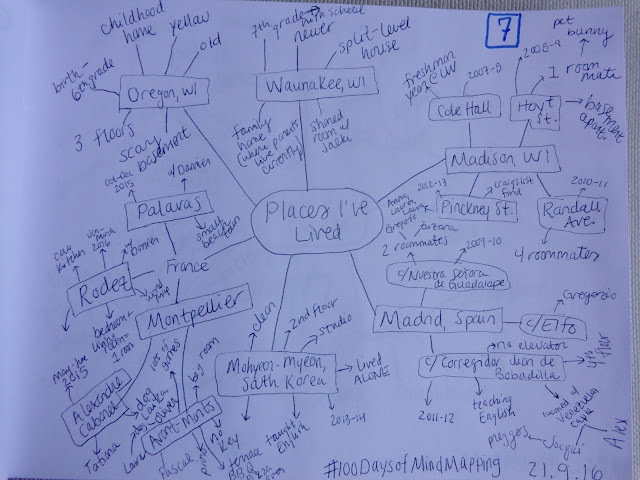 My younger brother performed (piano) in the Dark La Crosse Radio Show tonight, which I attended with my grandma. He composed lots of original music for the show, and adapted a few pieces written by others as well. 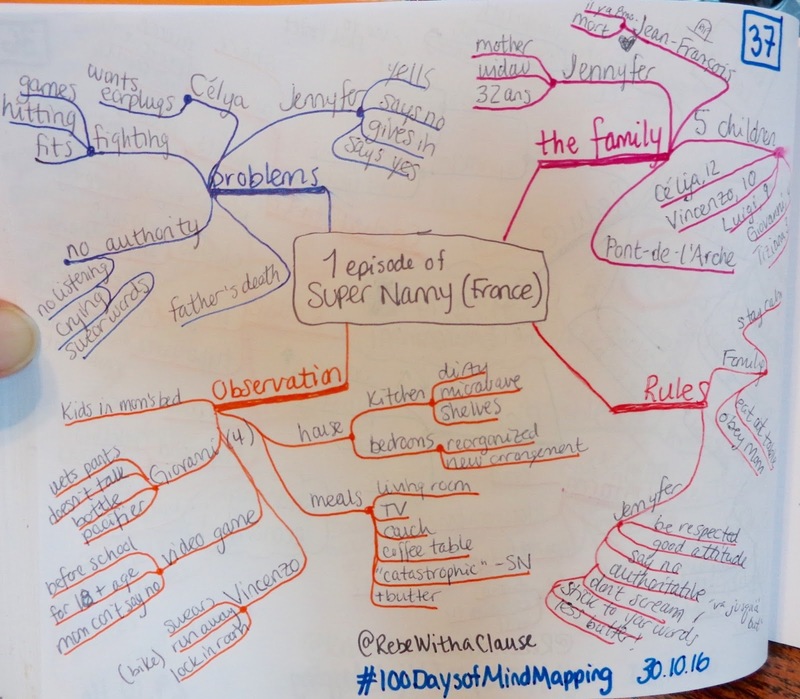 I love the show "Super Nanny," and the French version (with Sylvie) is excellent. 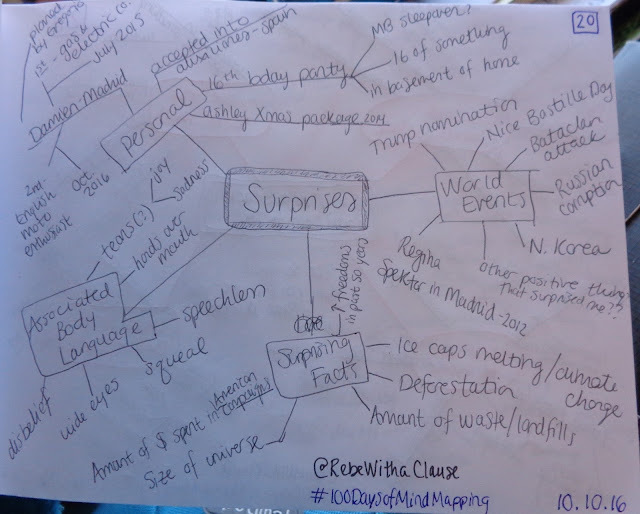 Here's a mind map of the episode I watched tonight. After finishing the Denmark section of Michael Booth's book "The Almost Nearly Perfect People: Behind the Myth of the Scandinavian Utopia," I used a couple chapter names as sub-sections in the above mind map to summarize a bit. 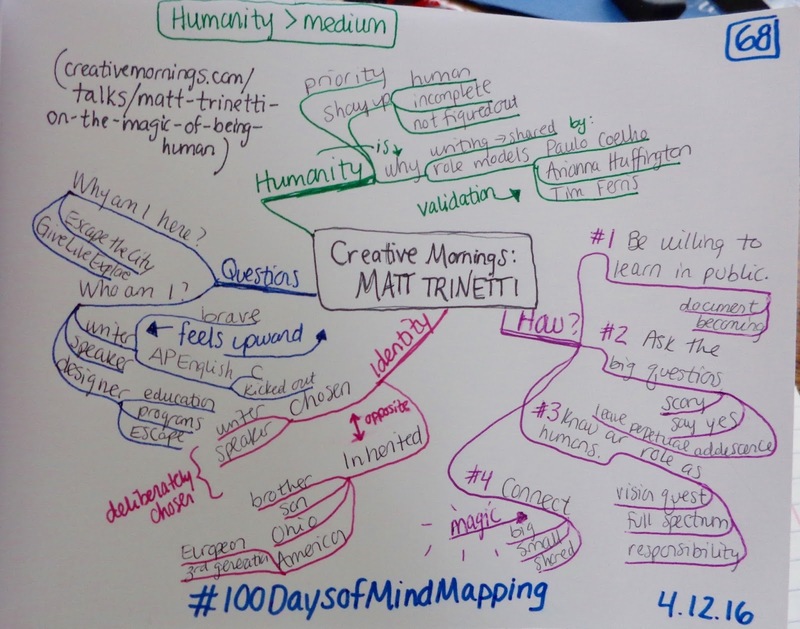 I read Matthew Desmond's book "Evicted" a few weeks ago (highly recommended, by the way), and tonight I went to an event hosted at our local library. 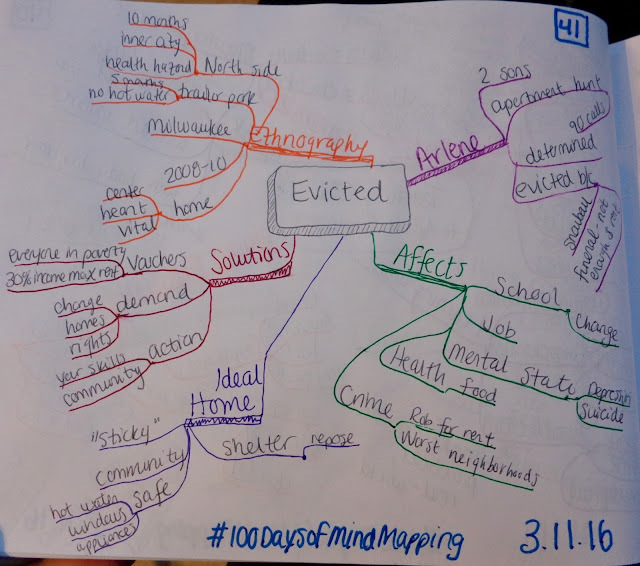 Desmond spoke in Madison on Tuesday, so the library played a recording of his talk, and afterwards Genna from WNC spoke about homelessness/evictions in Waunakee, and how to get involved in local issues. 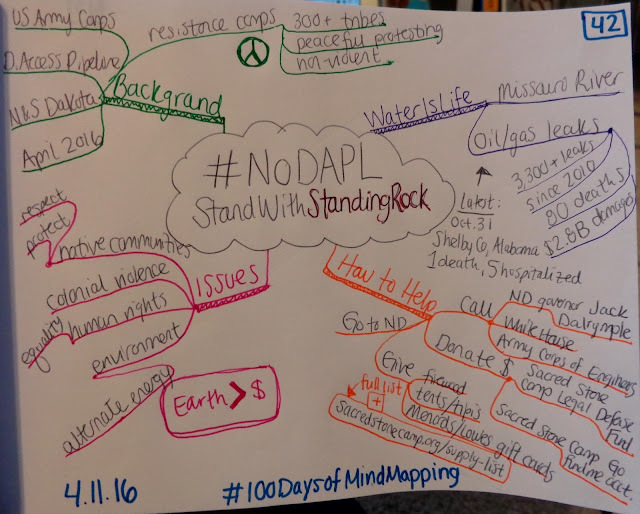 For more information, here are the basics about what's going on at Standing Rock, and here's how you can help. 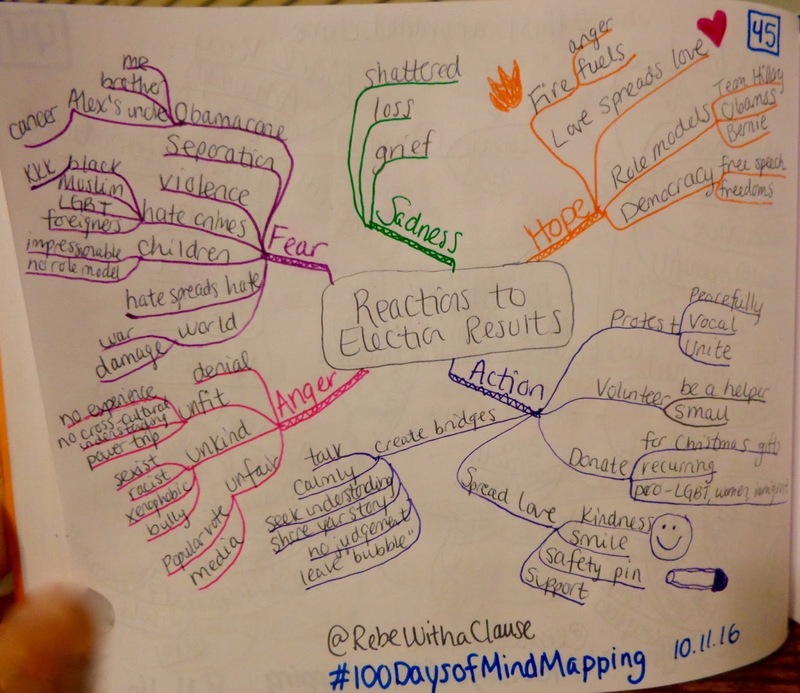 And post-election thoughts made of complete sentences can be found here. This is a summary from an article in Flow Magazine, an amazing magazine that takes its time. 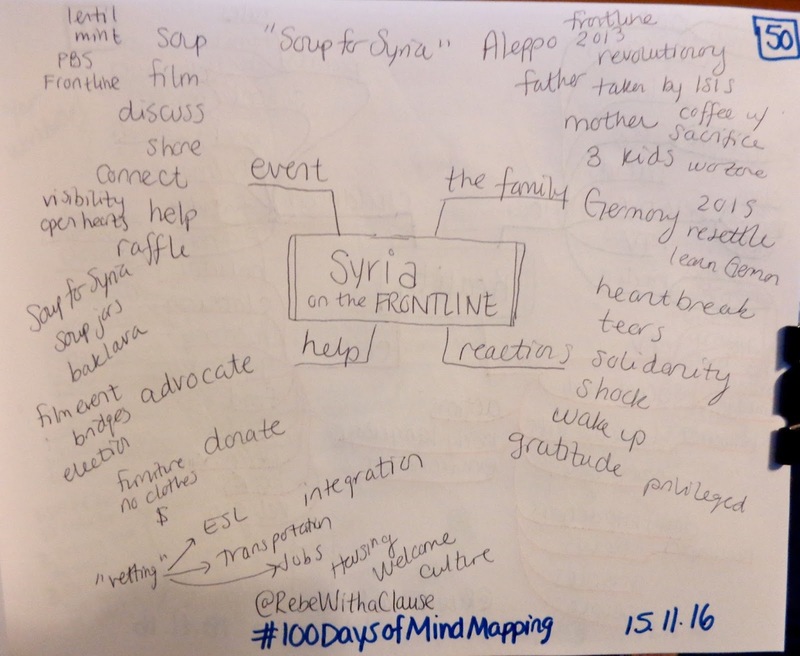 Tonight I went to a "Soup for Syria" event put on by the Madison-based Open Doors for Refugees organization. We watched the PBS Frontline documentary "Children of Syria" (54 min. 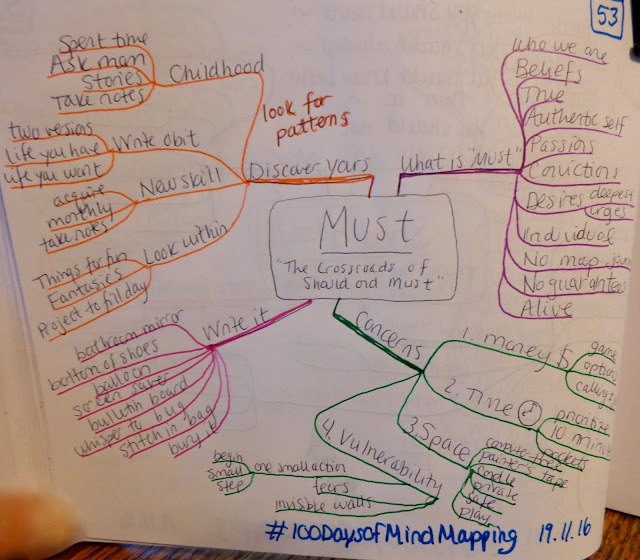 ), which you can watch here. I highly recommend it. 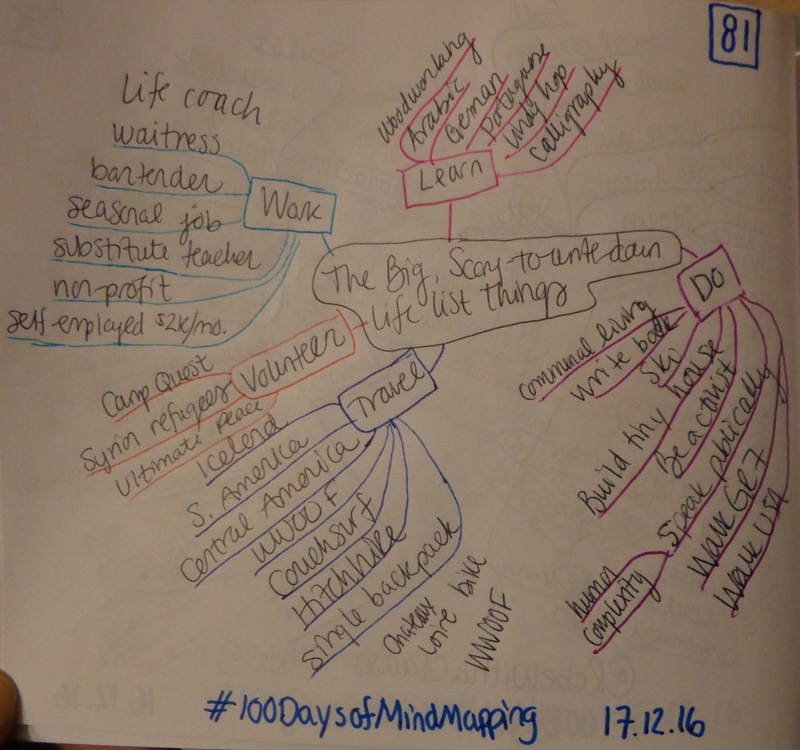 Day 62: [Brainstorming] Alternatives to "So What Do You Do?" Day 65: Responses to "What Do You Do?" This is of Matt Trinetti's Creative Mornings speech "On The Magic of Being Human." I've been thinking a lot lately about how much I dislike labels, and how they can distort our perceptions of people. The labels that describe me now do not even tell 5% of the story. Humans are complex beings. After the "going without" and "daily doing..." categories, I had no idea how to fill the other half of the page. 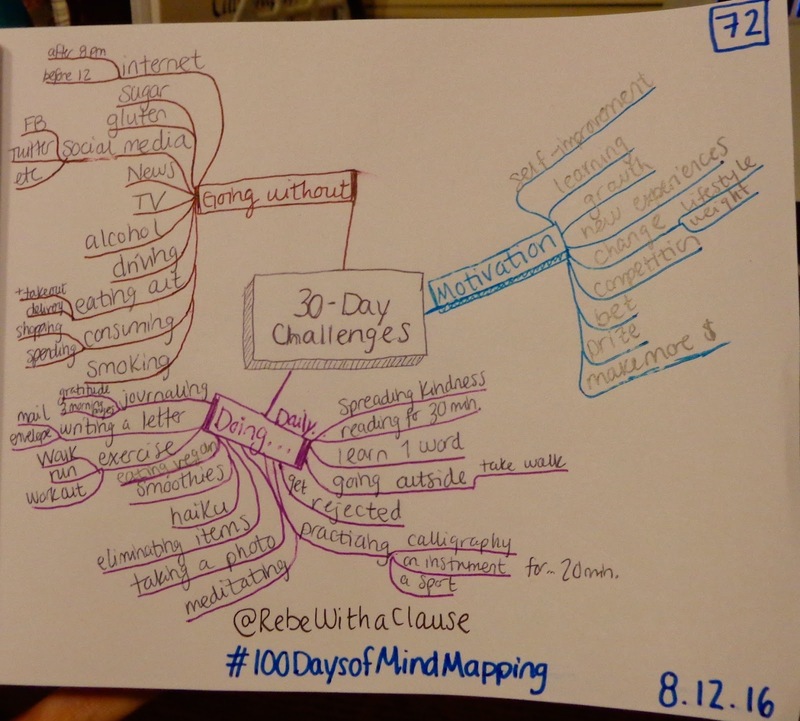 Felt a bit incomplete with just three, but I called it a day. Day 76: Front Page of "The Guardian" International - @ 8:51 p.m. 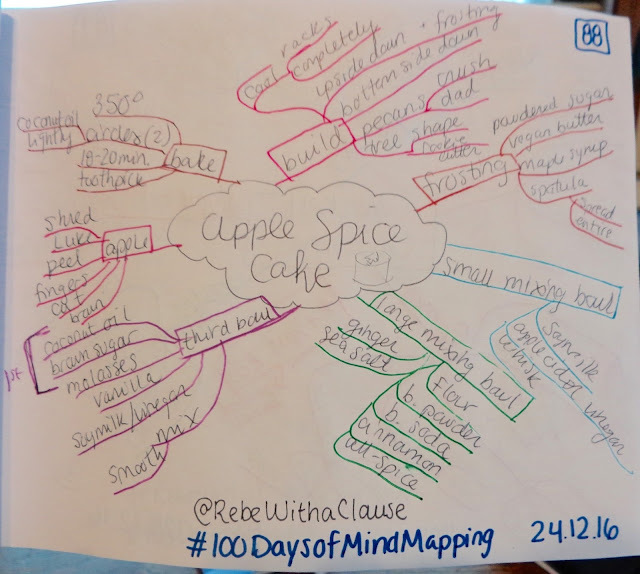 The vegan cake I brought to a family Christmas celebration the next day. 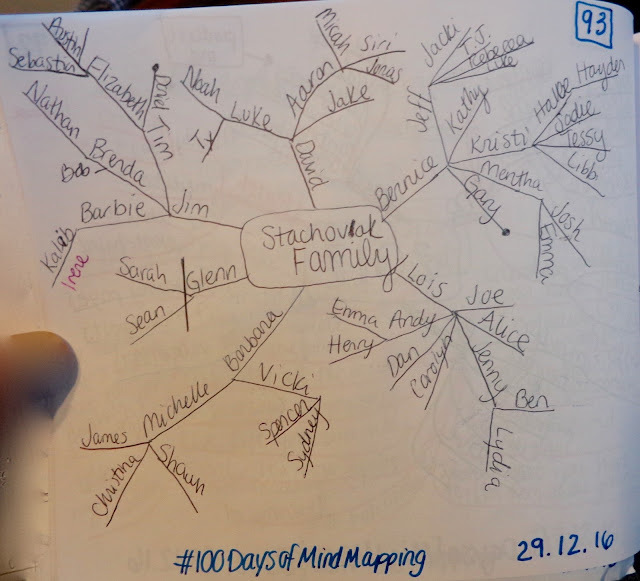 Did this one with my sister as she drove us up to Wausau to see family for the new year. 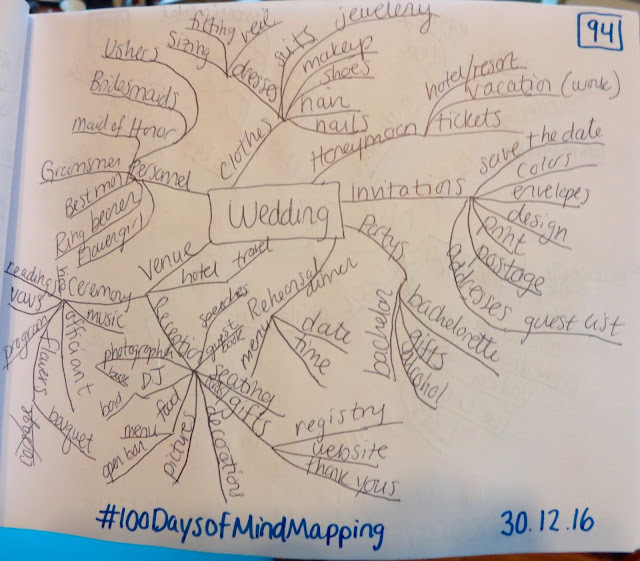 Our cousin is getting married in March, and my sister often plays music for weddings, so we challenged ourselves to try and think of all the elements of a "traditional" full American wedding. Topic was graciously provided by my Great Aunt Lois. 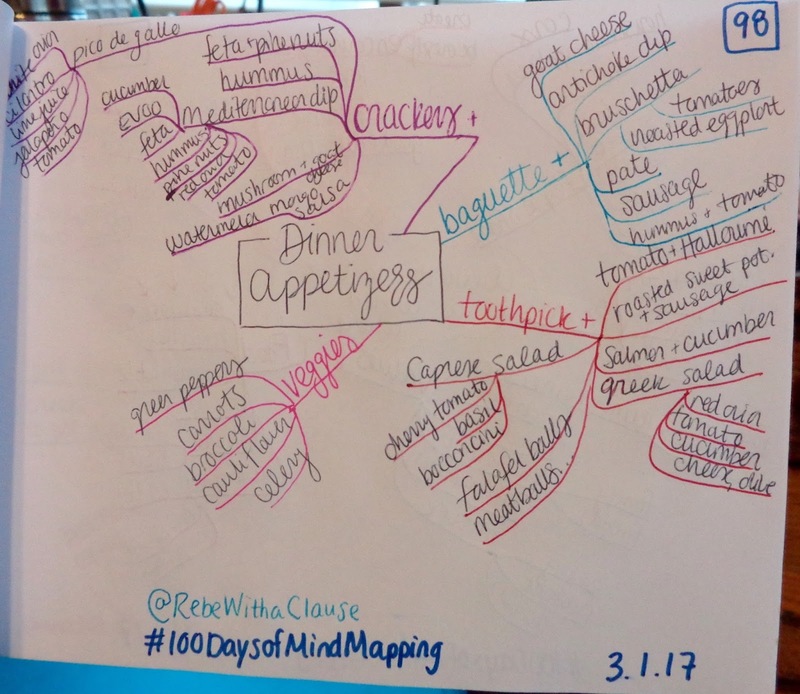 In preparation for a dinner I was going to on the 6th... but ended up getting sick two days later and had to cancel. After 5 days sick in bed, I finally finished!